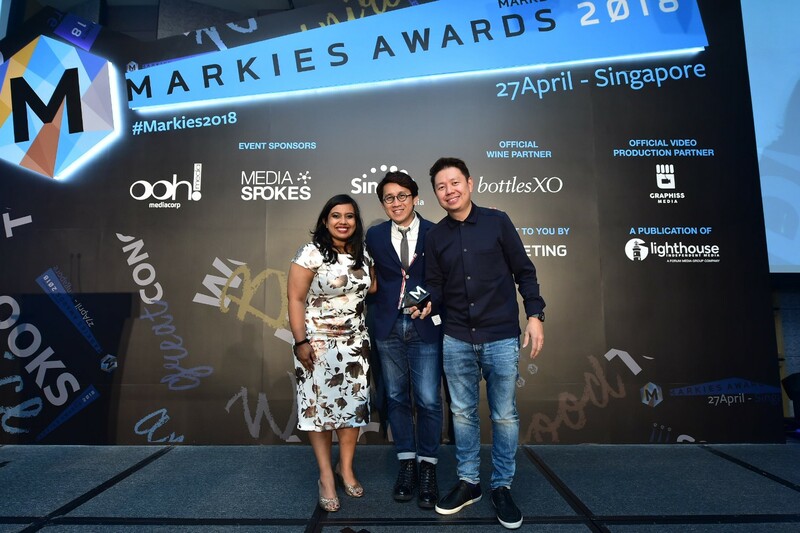 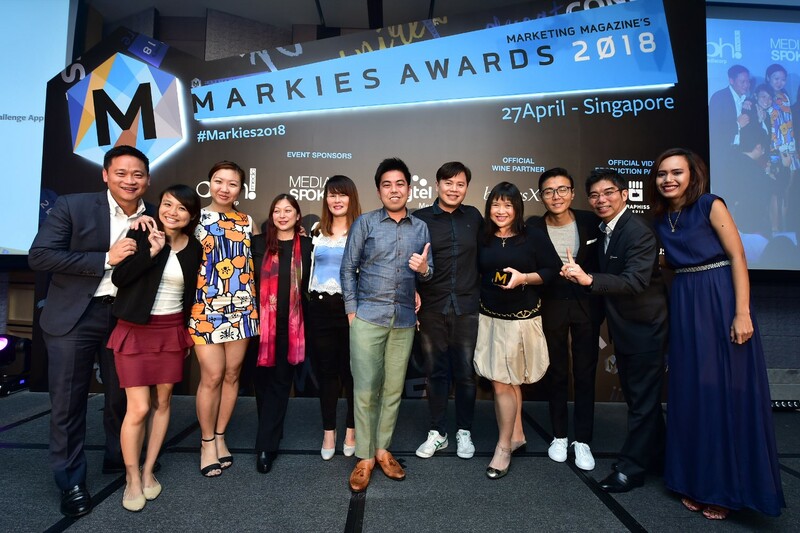 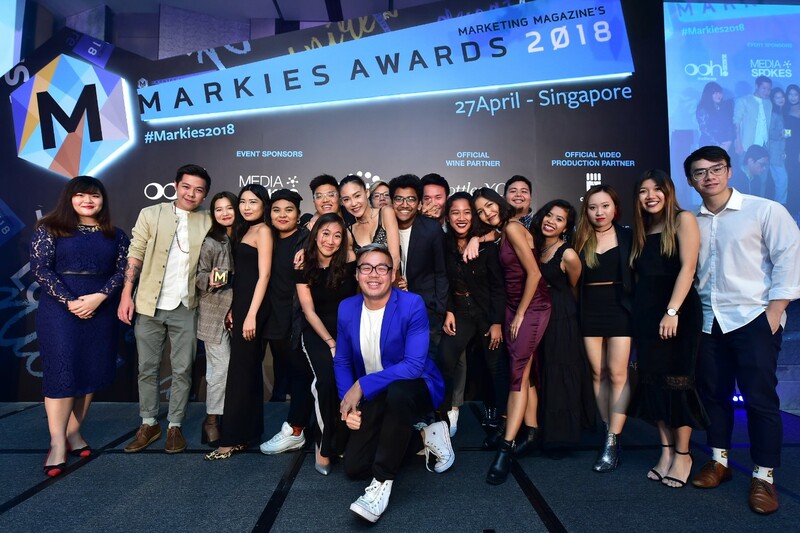 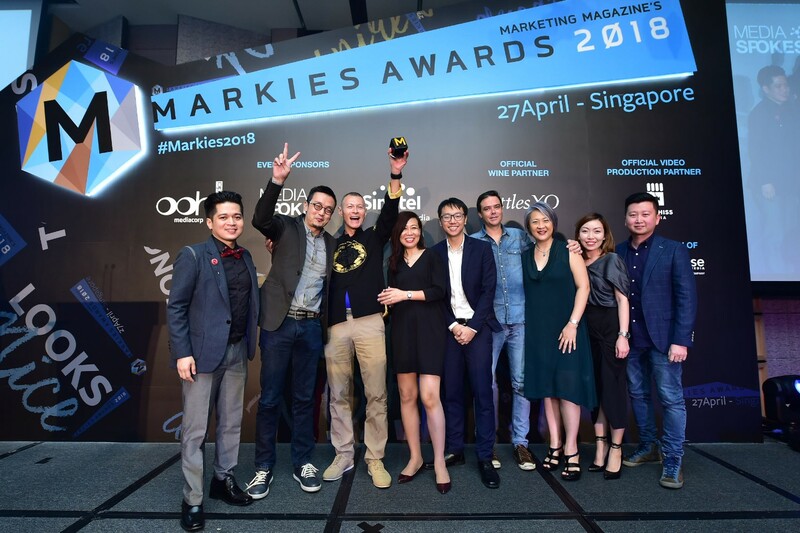 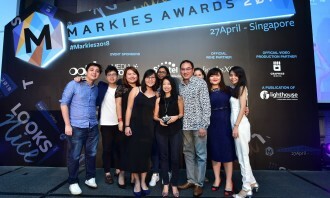 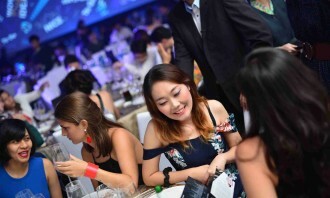 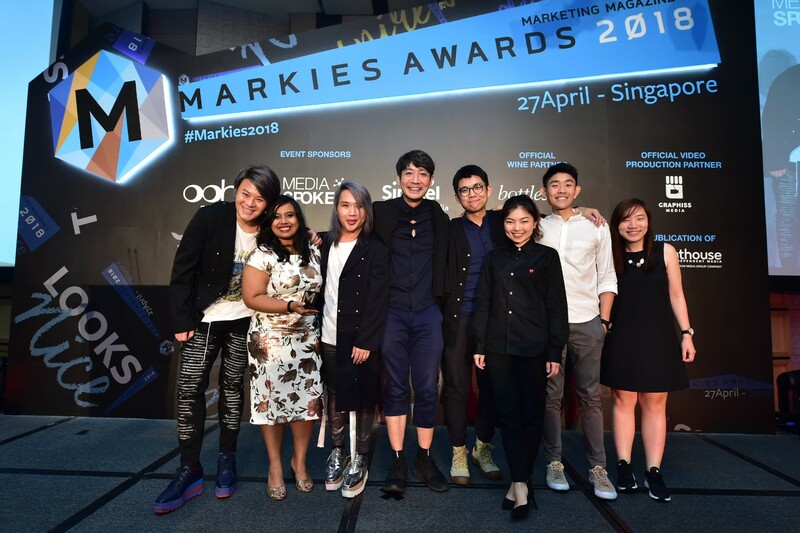 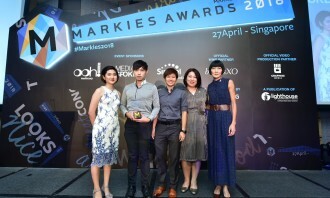 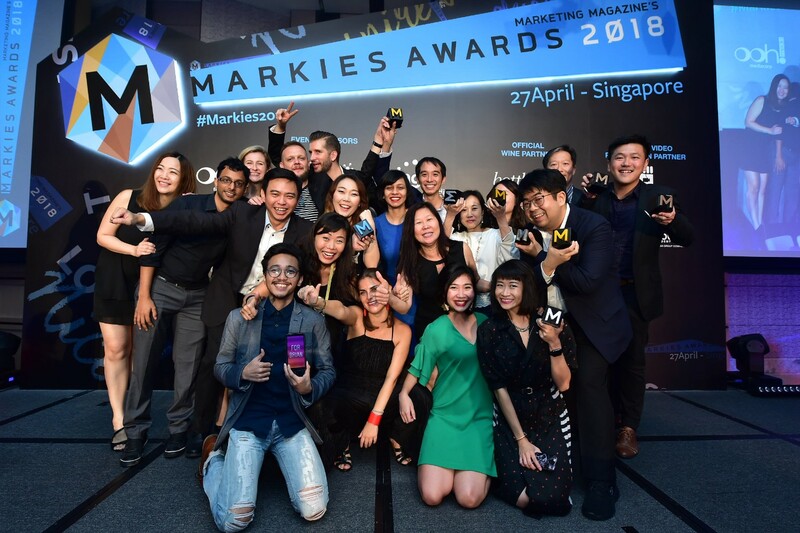 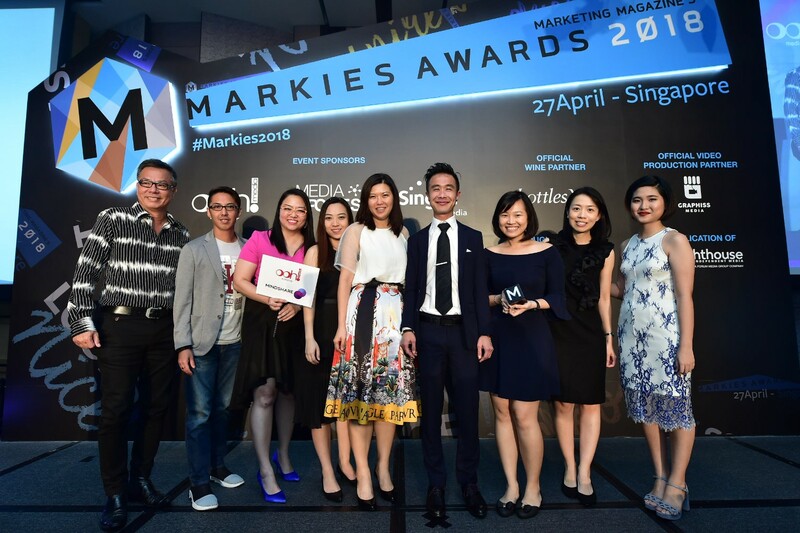 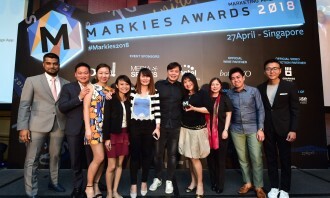 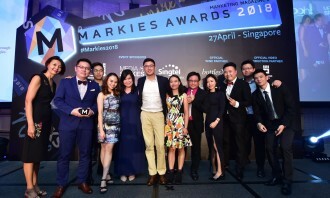 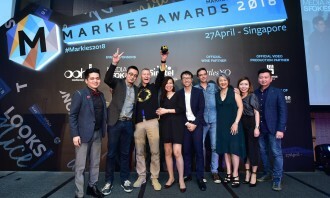 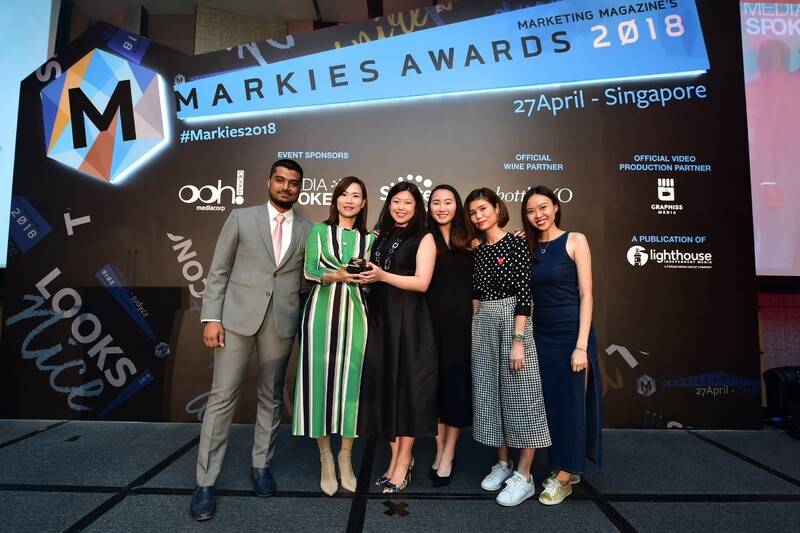 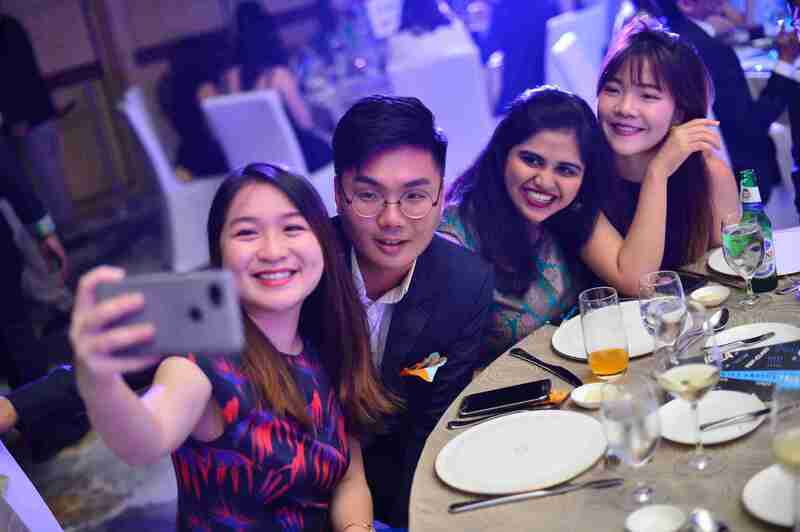 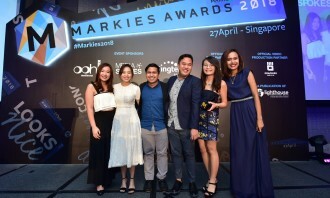 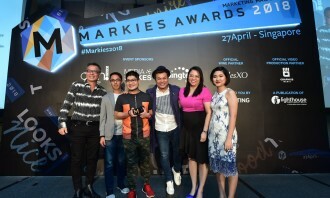 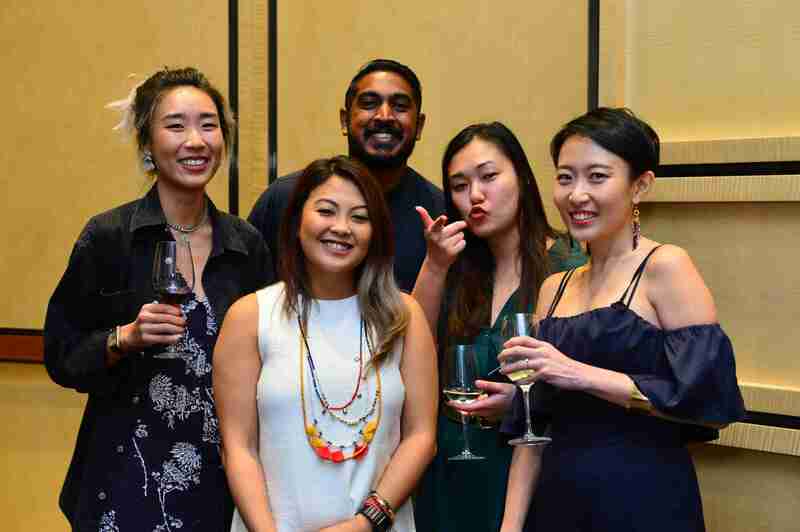 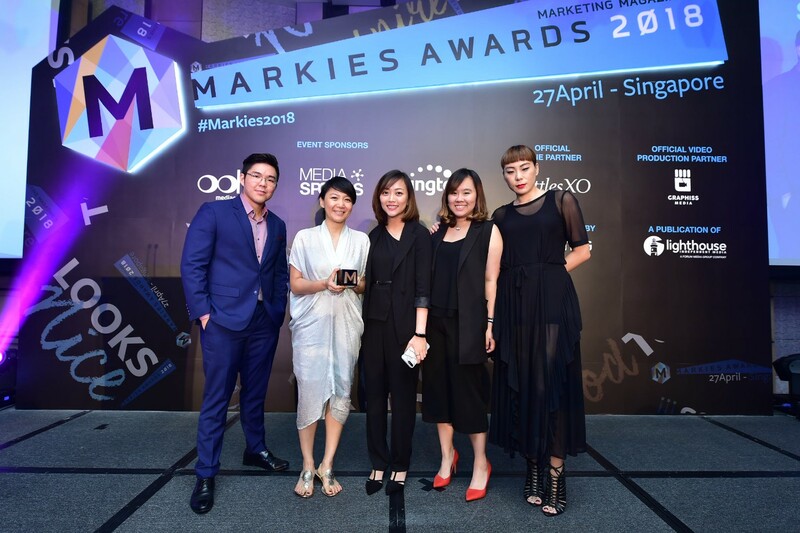 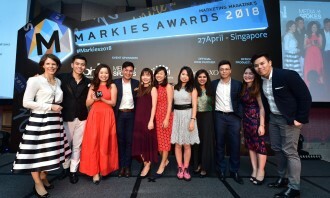 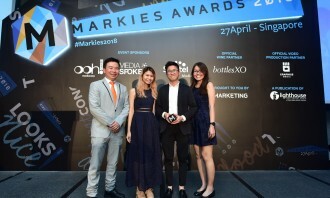 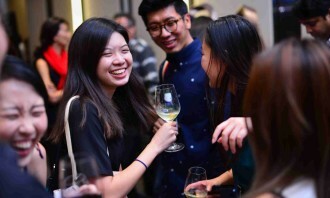 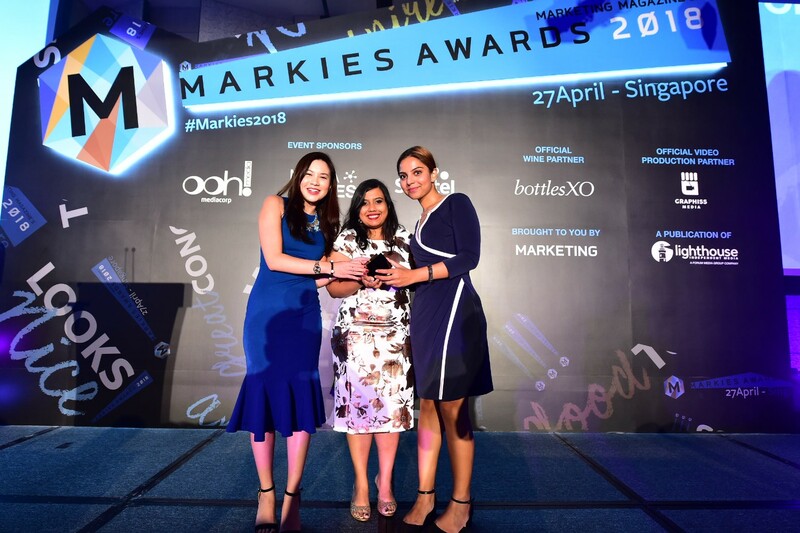 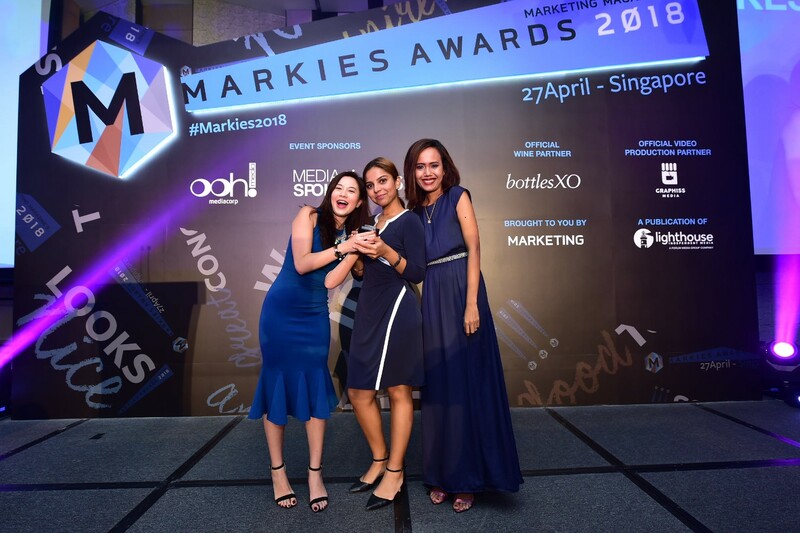 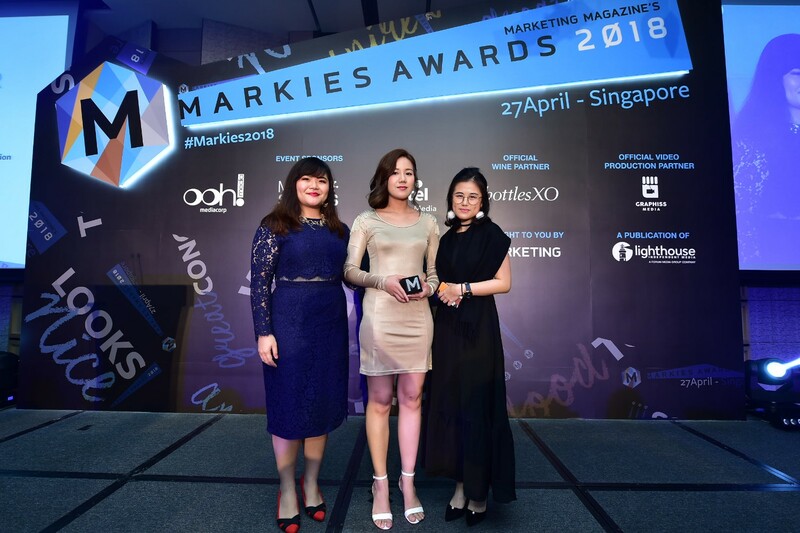 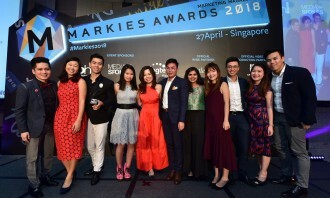 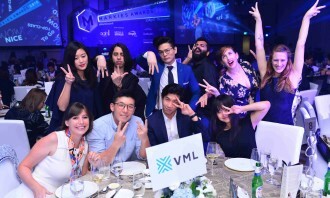 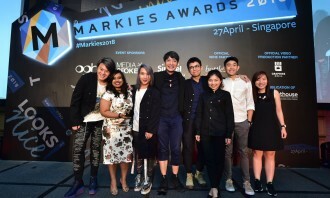 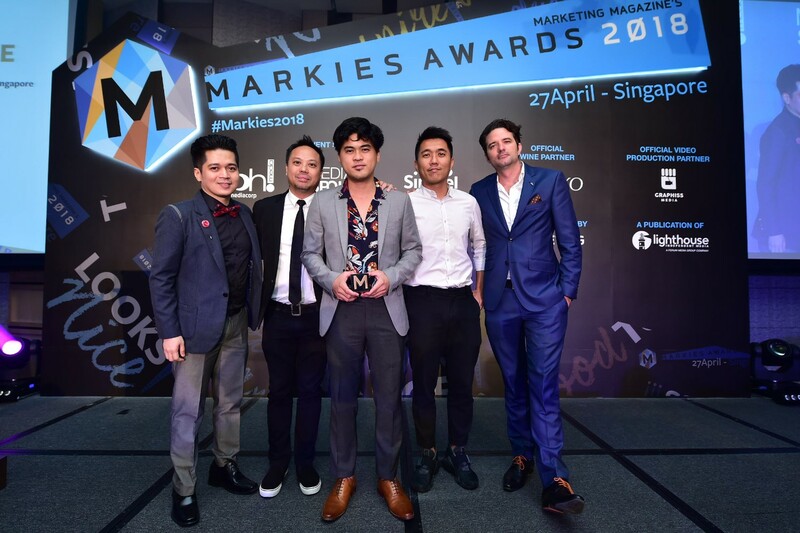 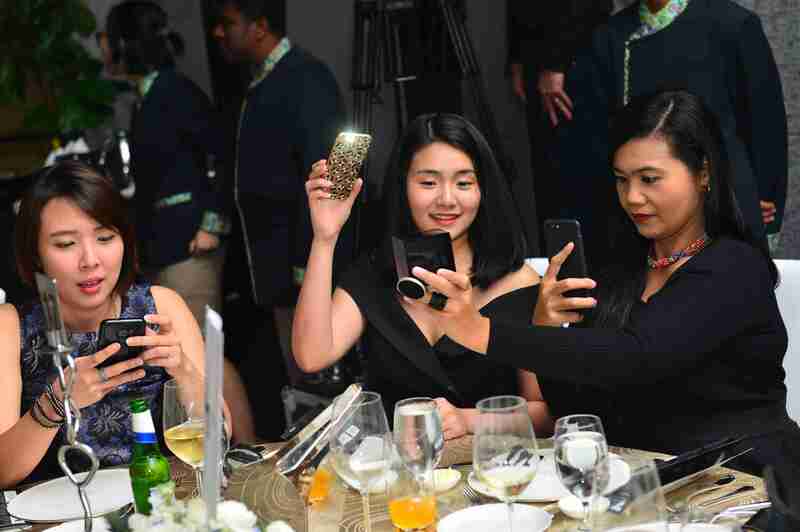 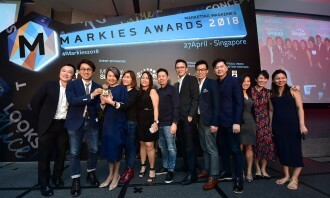 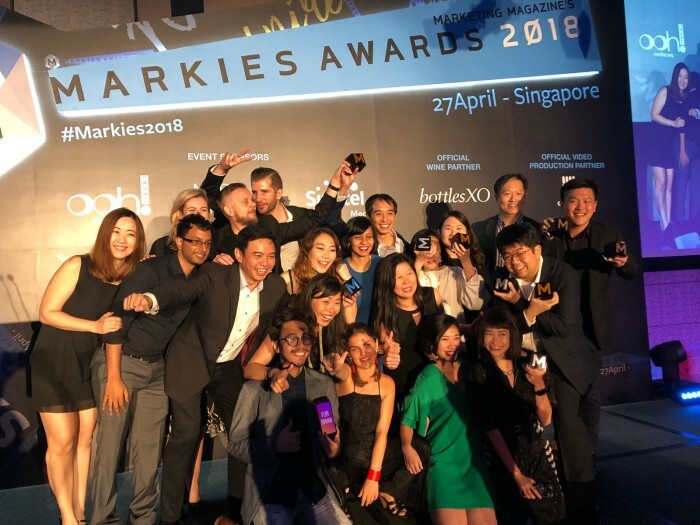 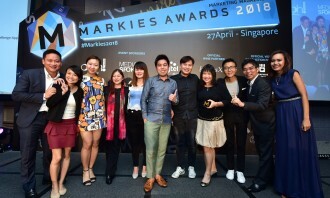 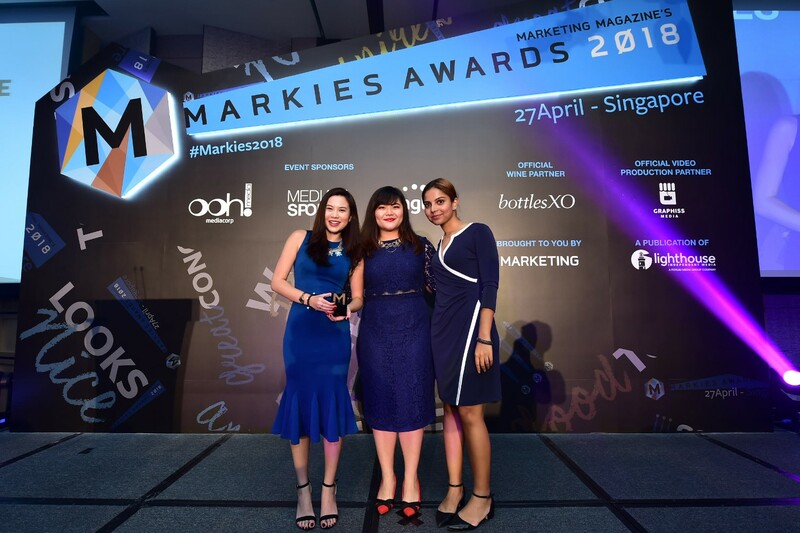 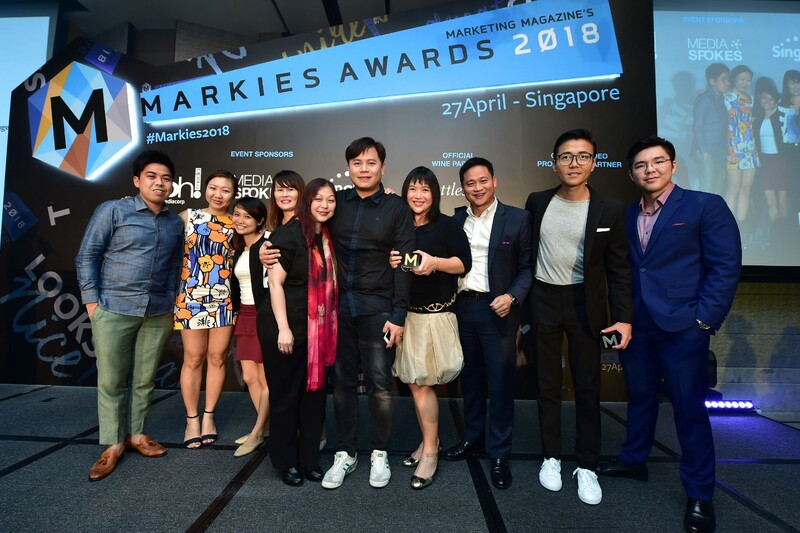 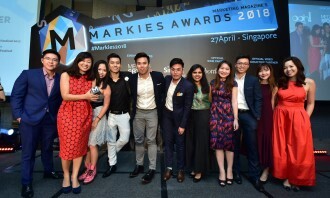 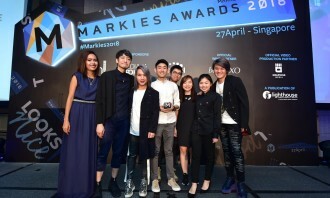 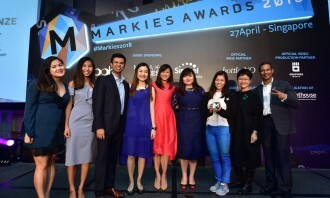 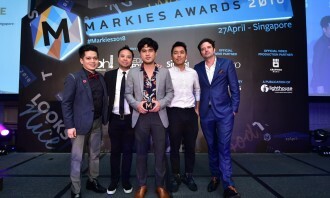 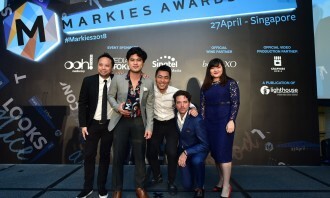 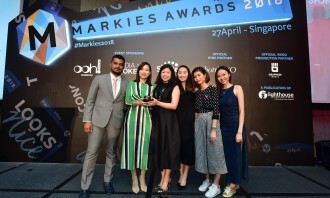 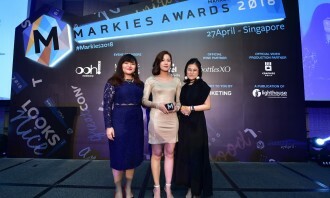 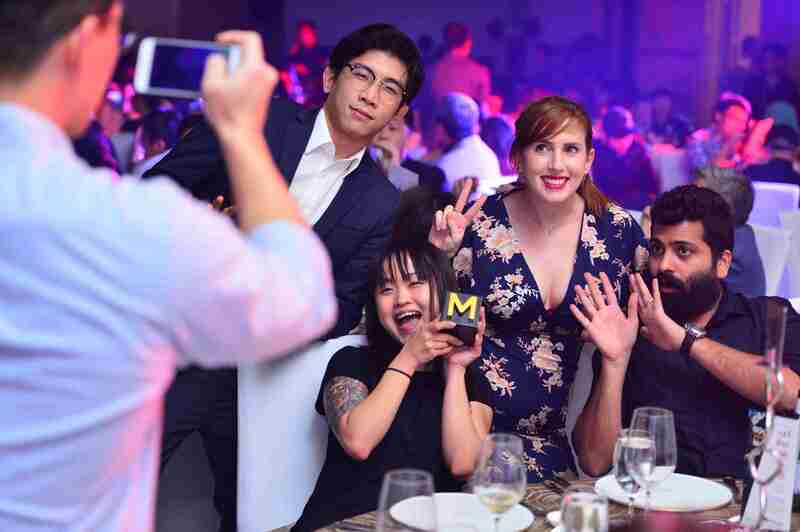 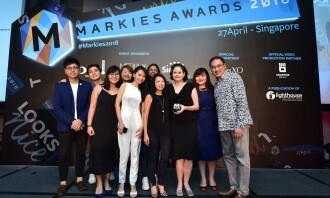 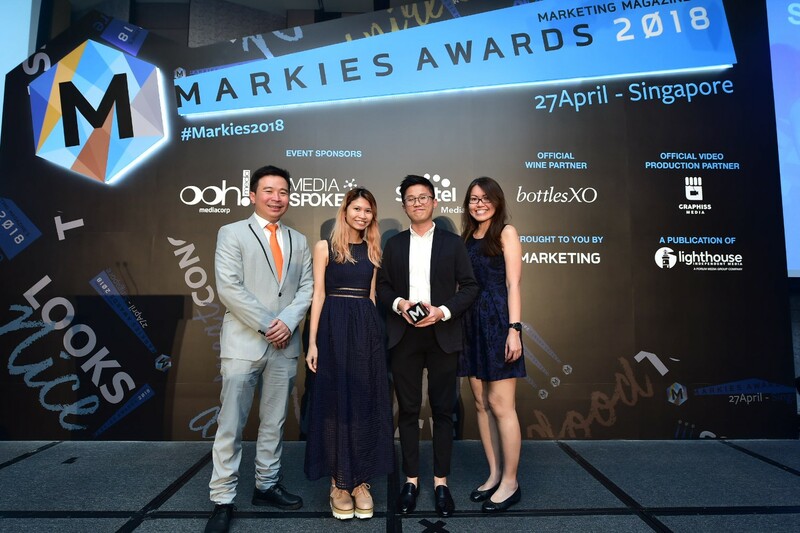 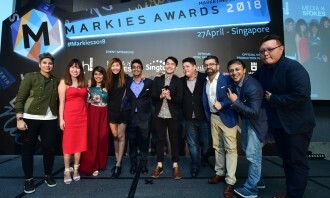 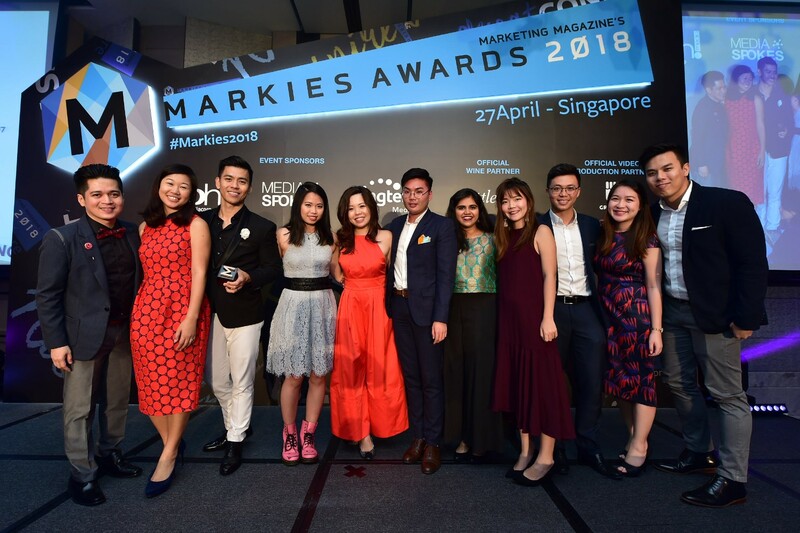 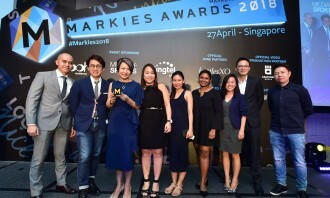 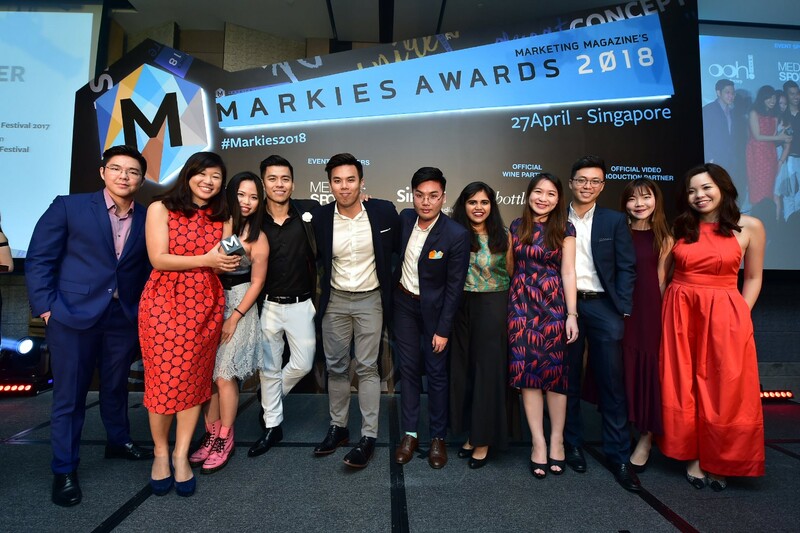 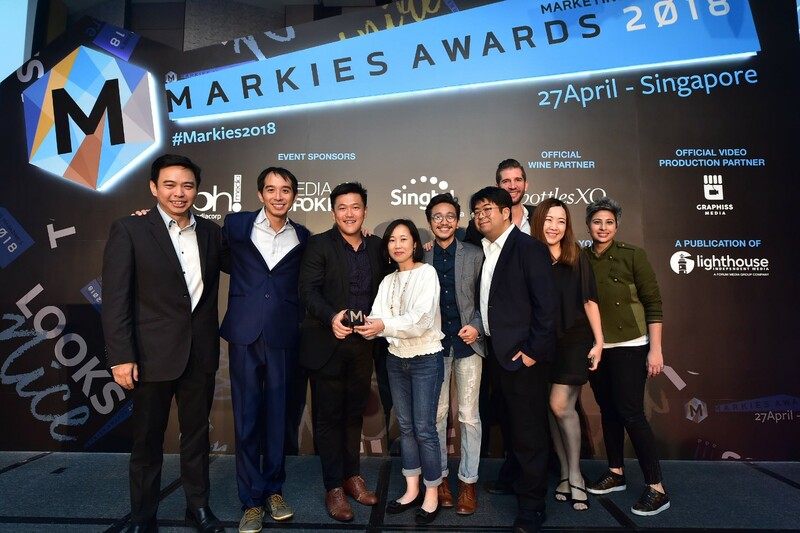 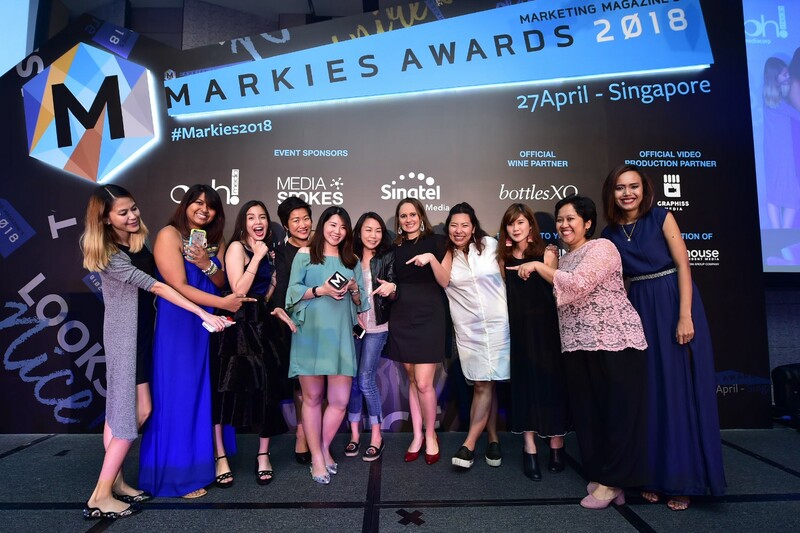 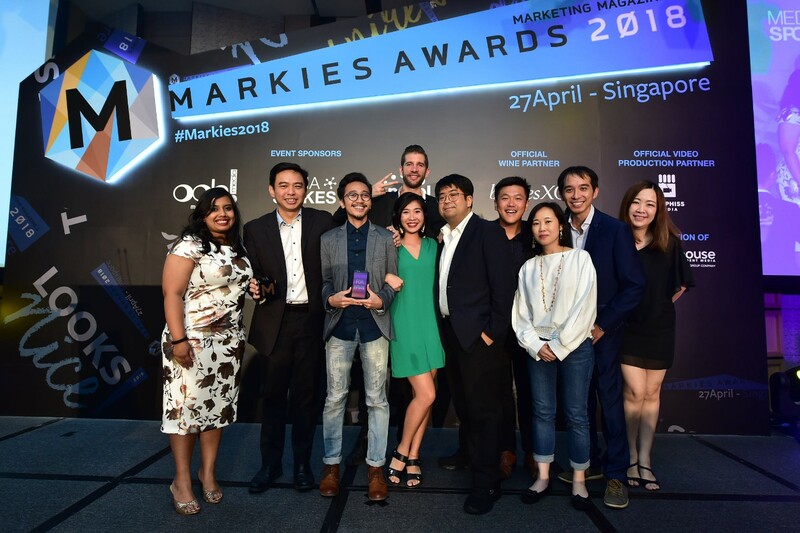 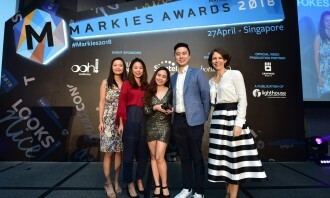 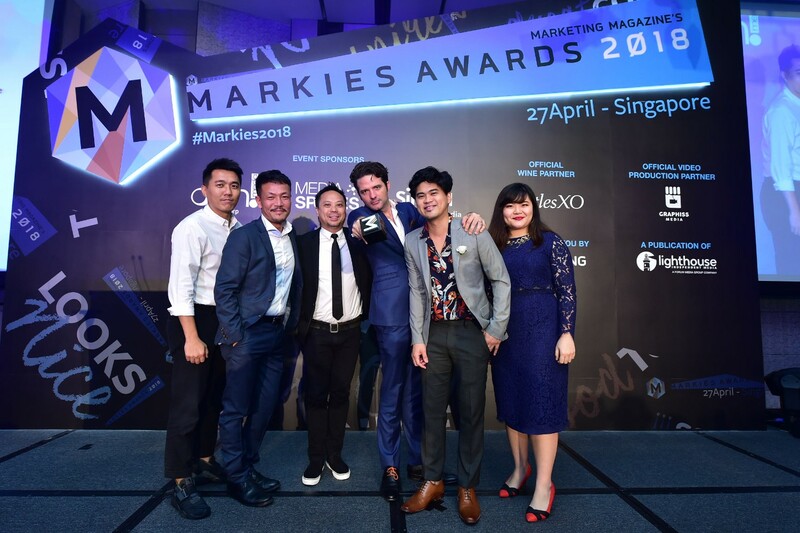 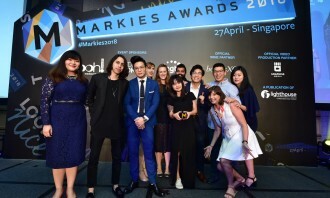 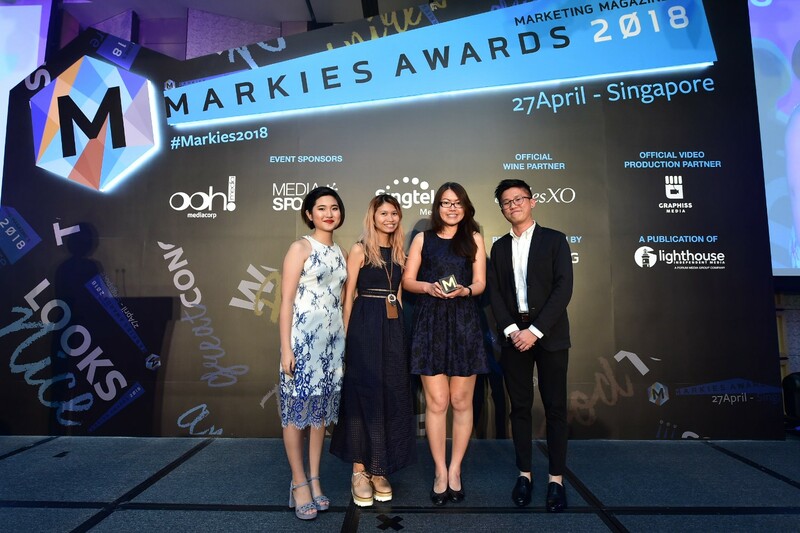 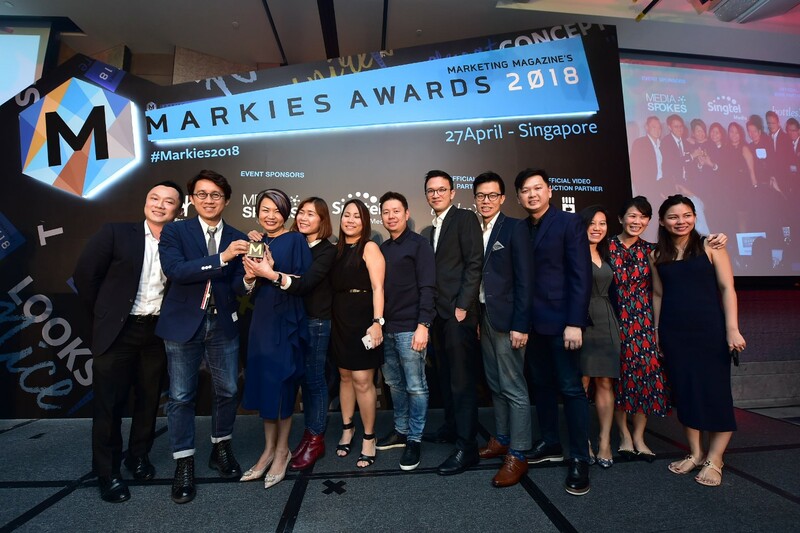 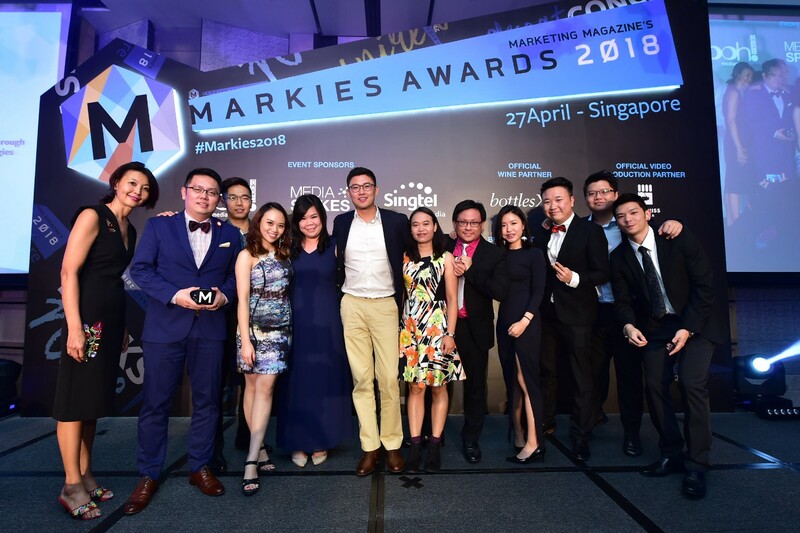 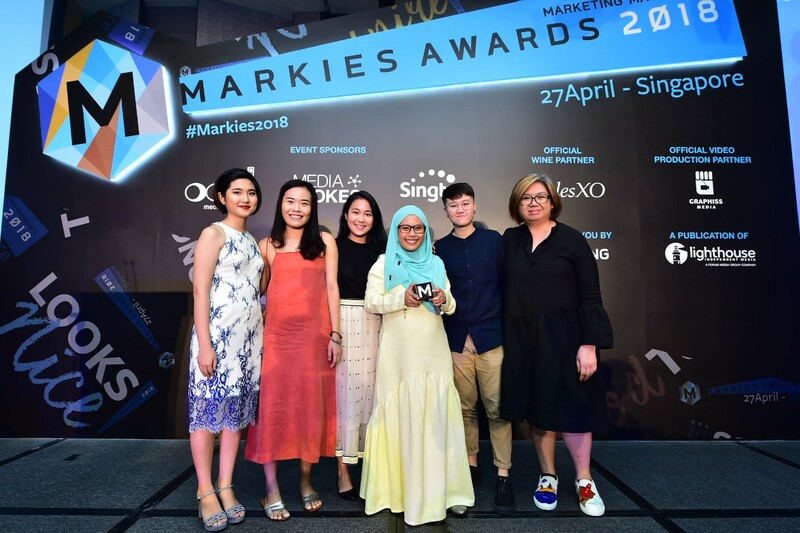 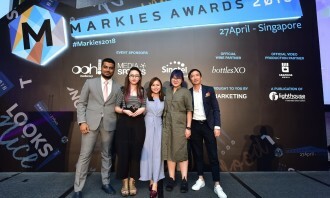 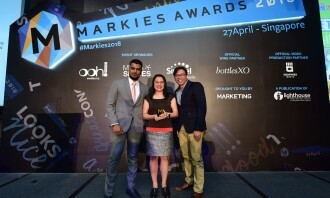 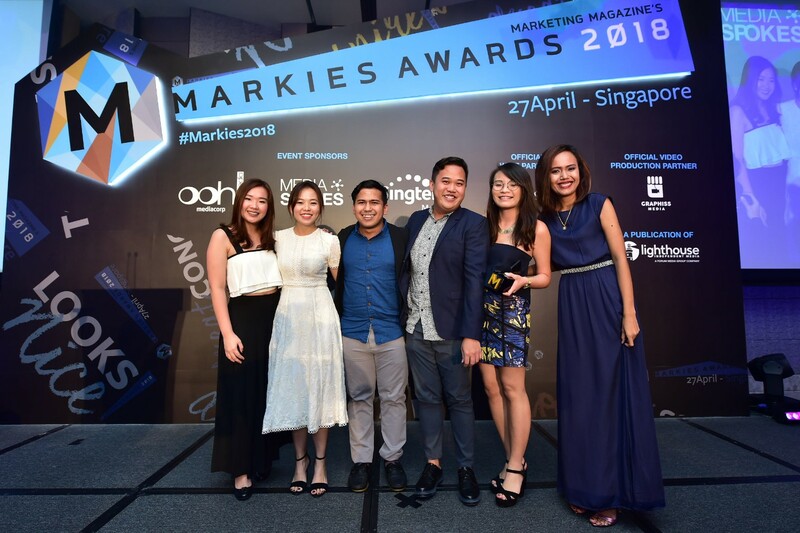 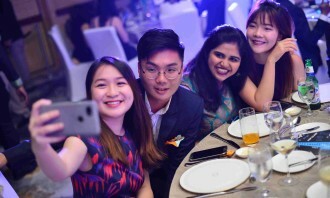 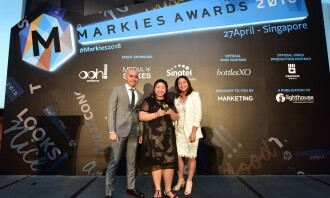 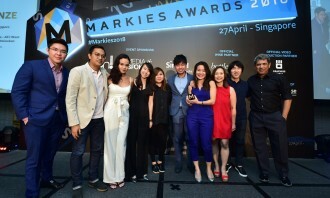 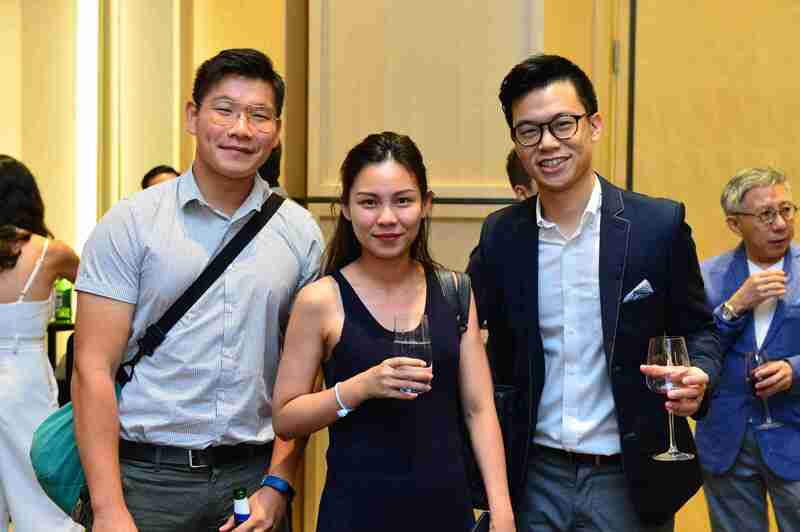 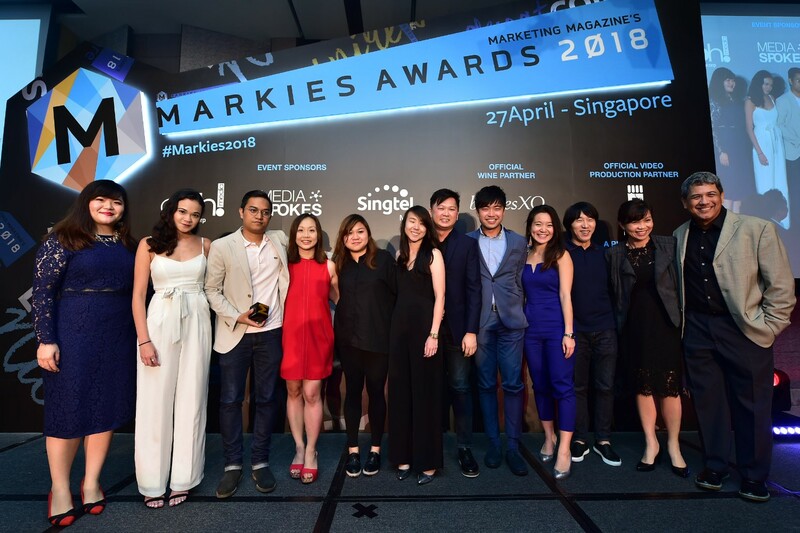 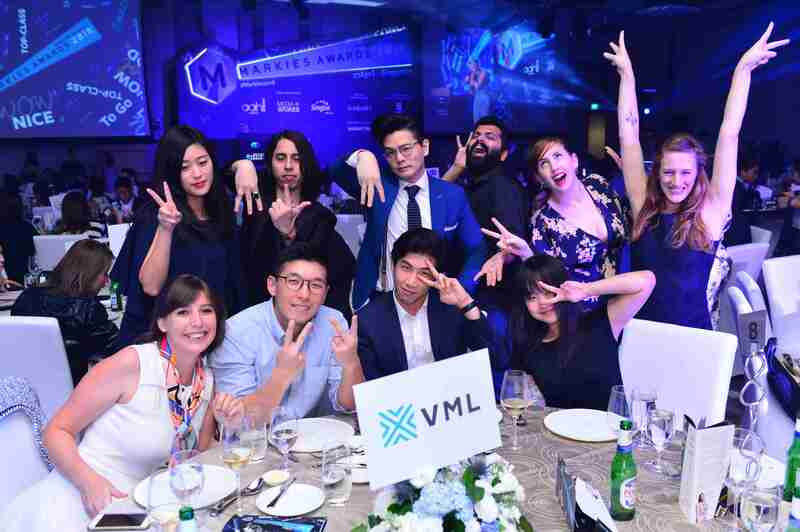 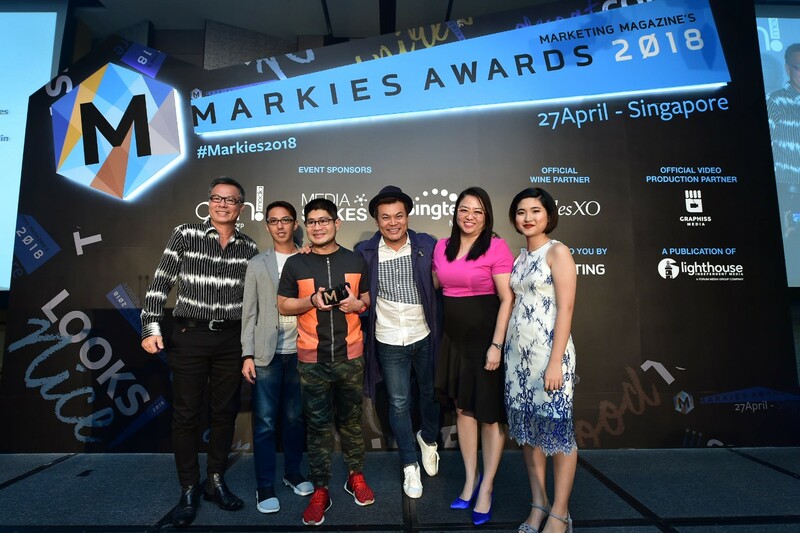 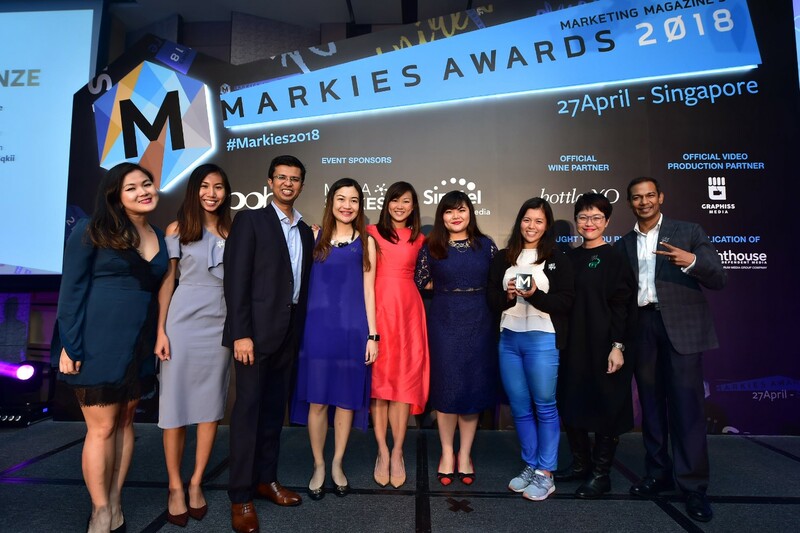 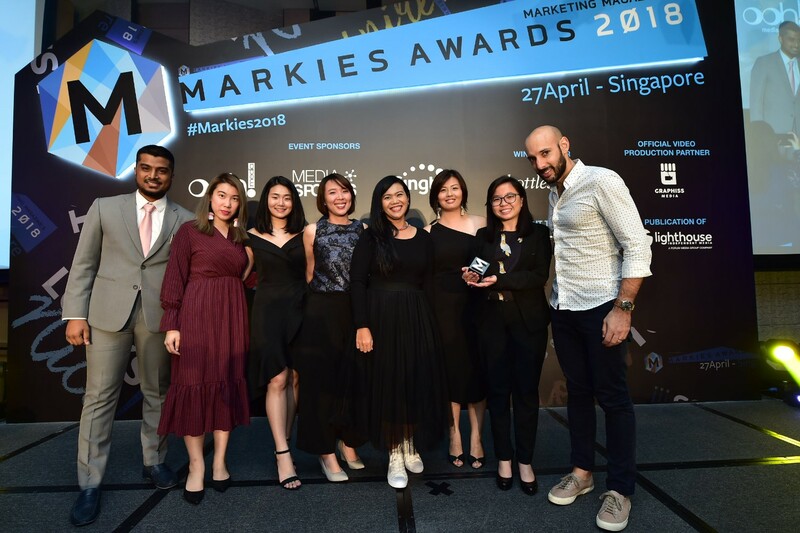 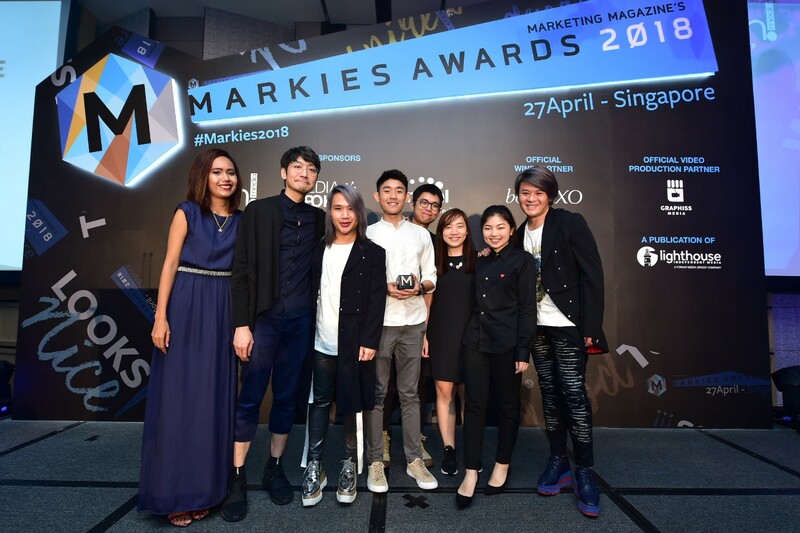 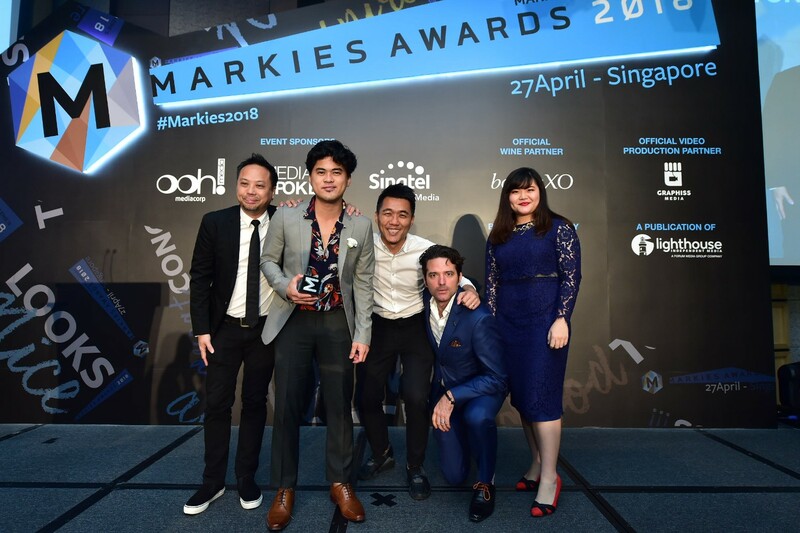 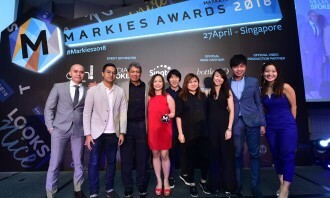 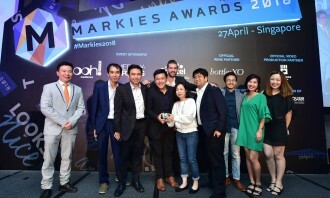 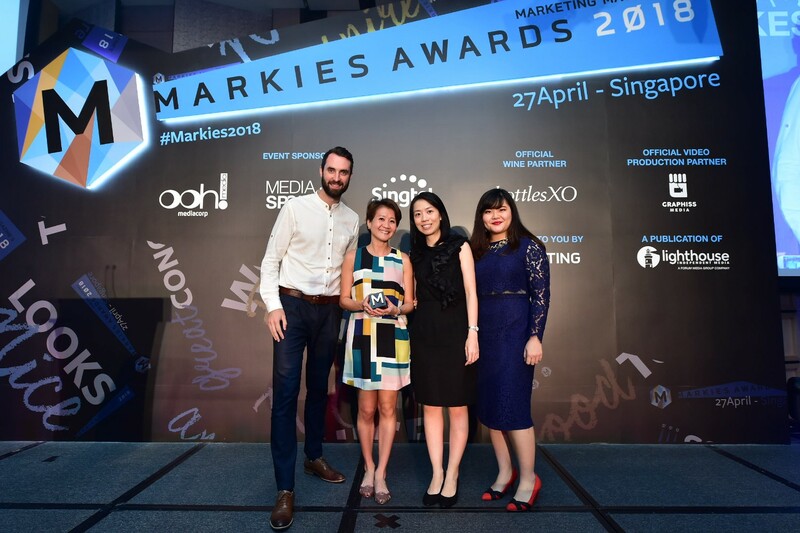 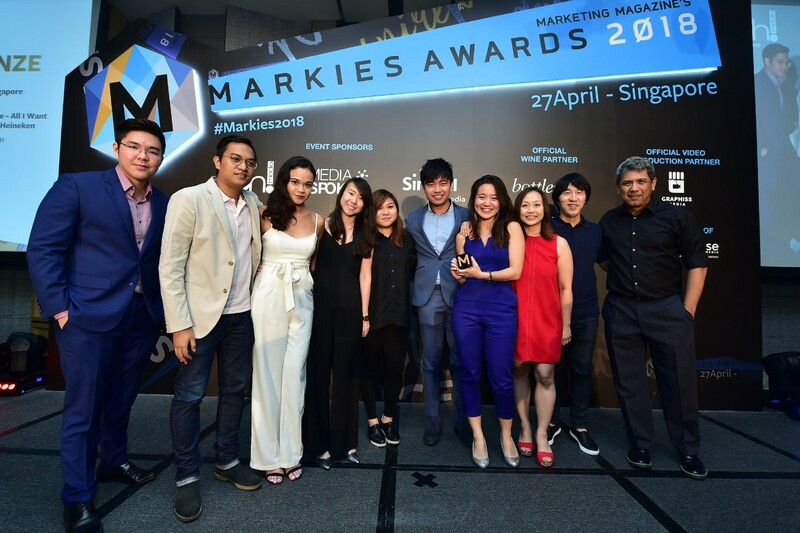 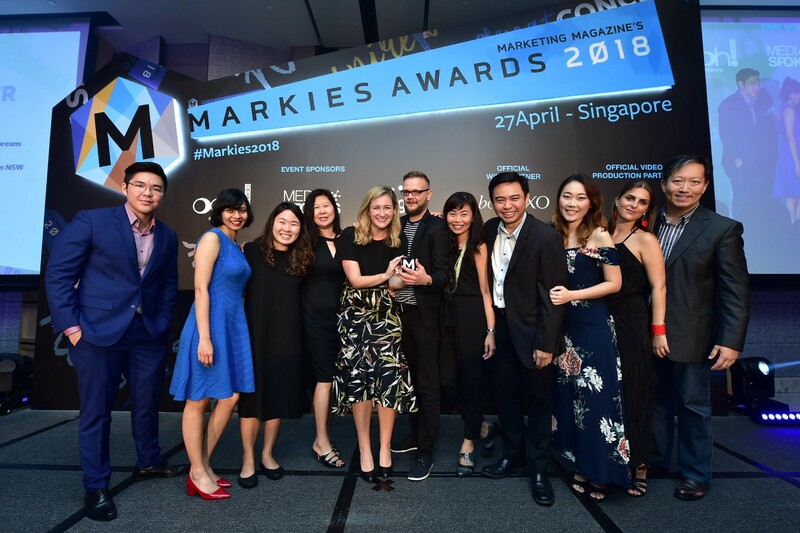 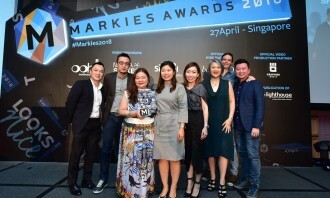 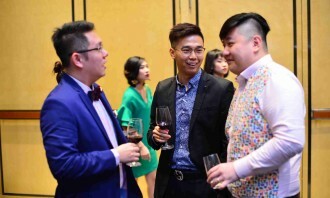 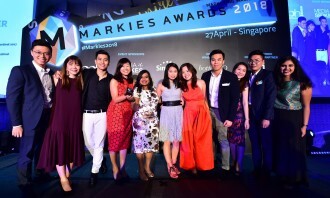 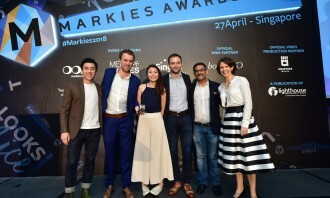 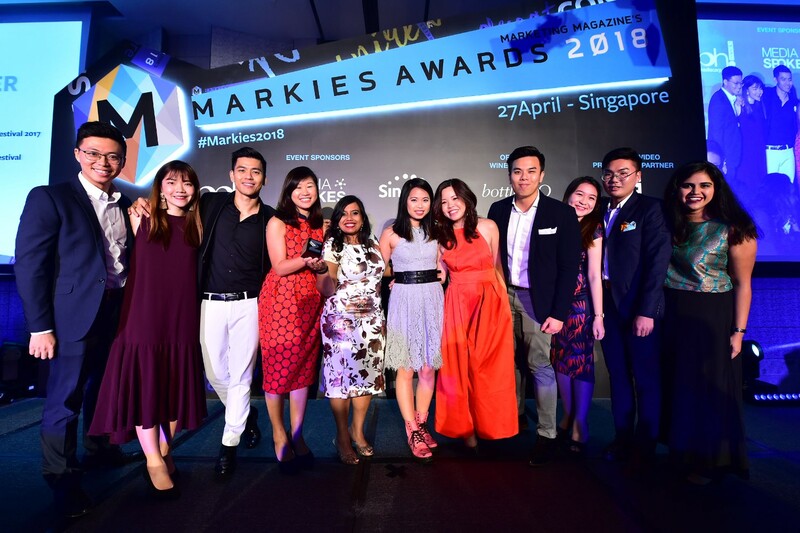 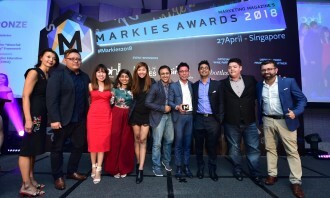 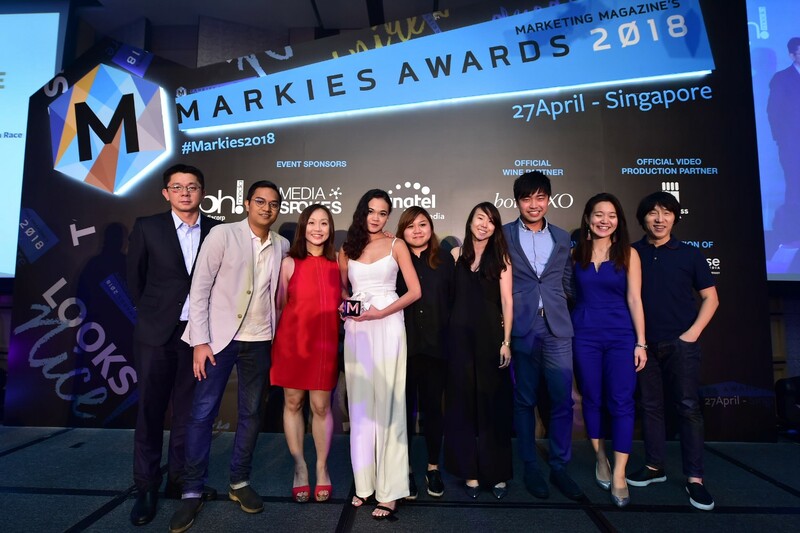 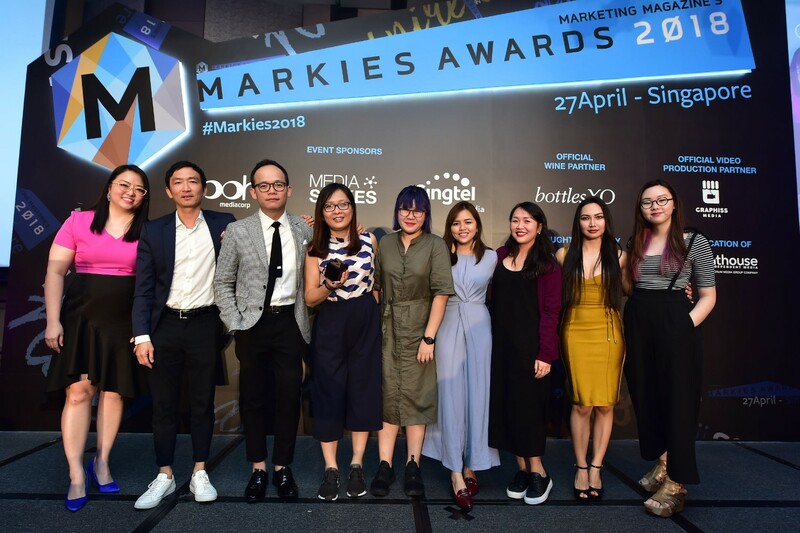 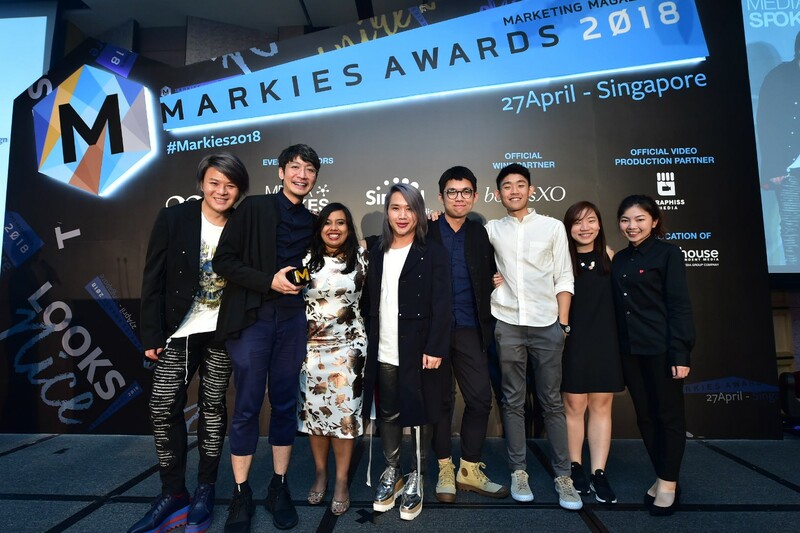 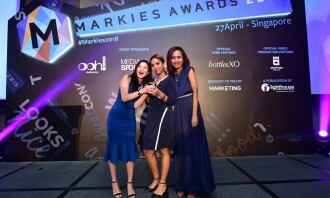 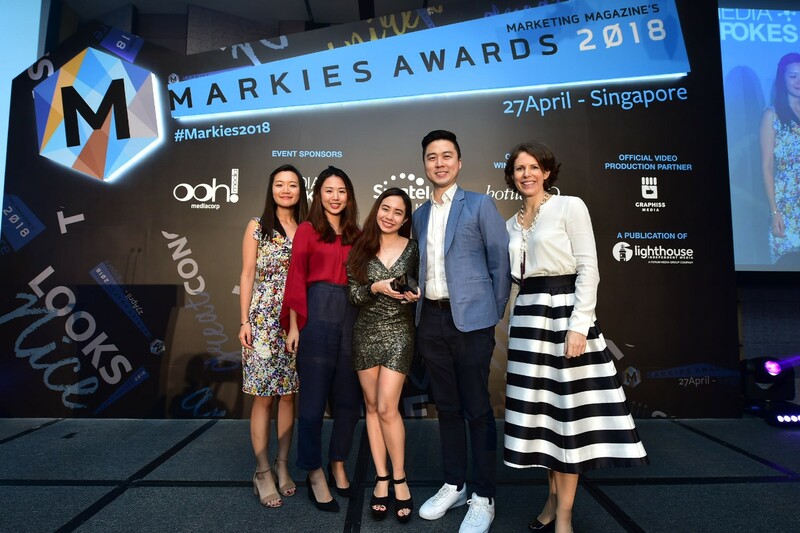 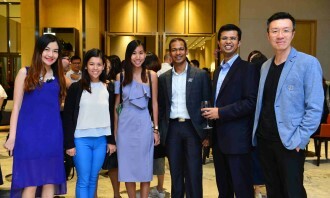 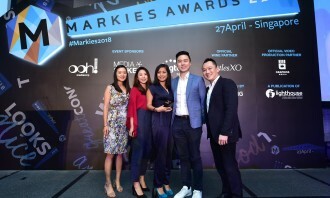 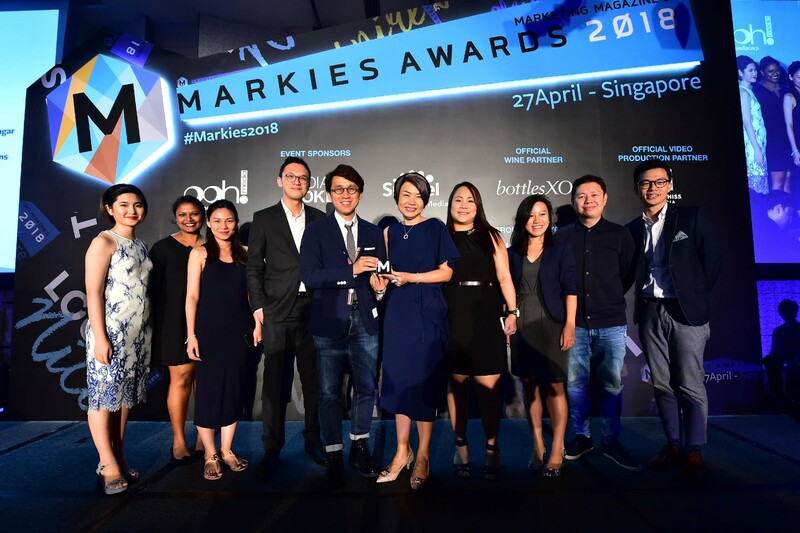 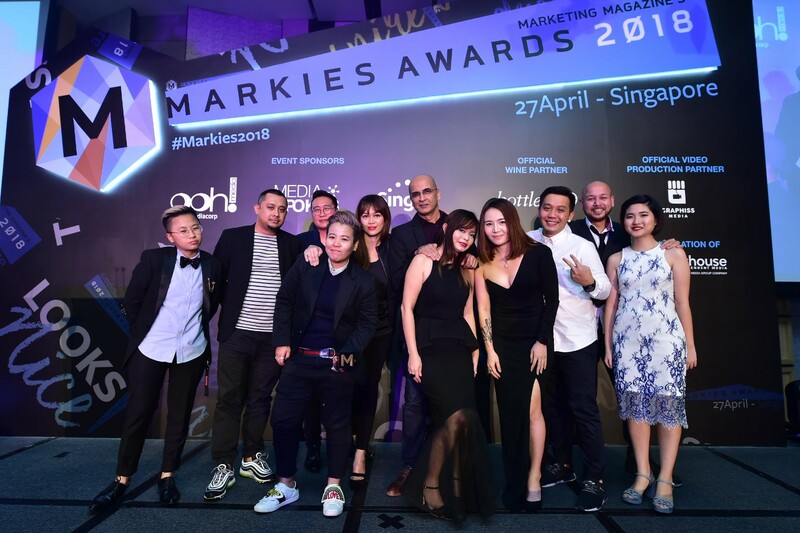 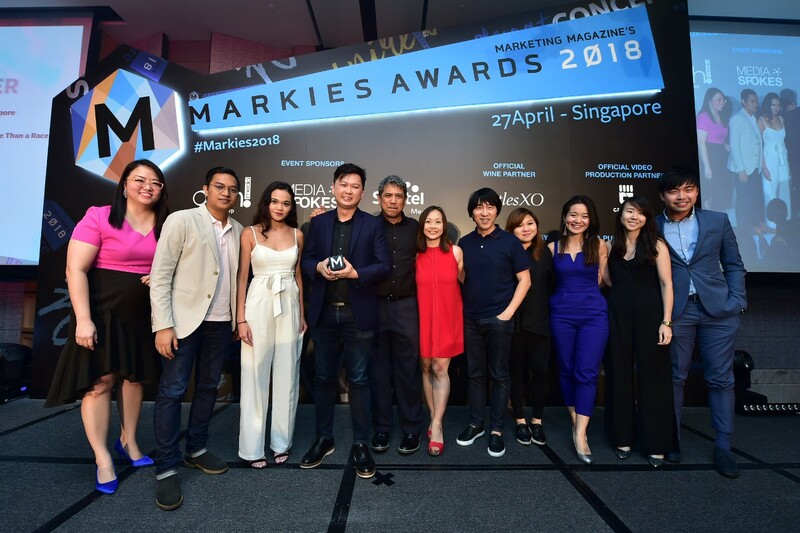 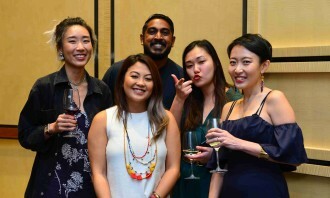 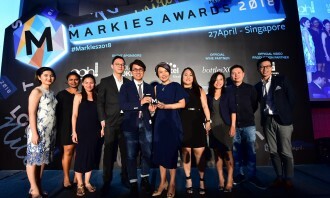 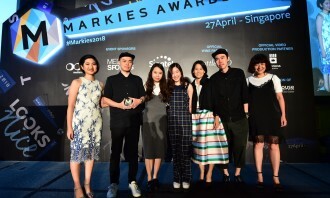 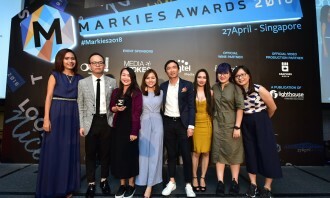 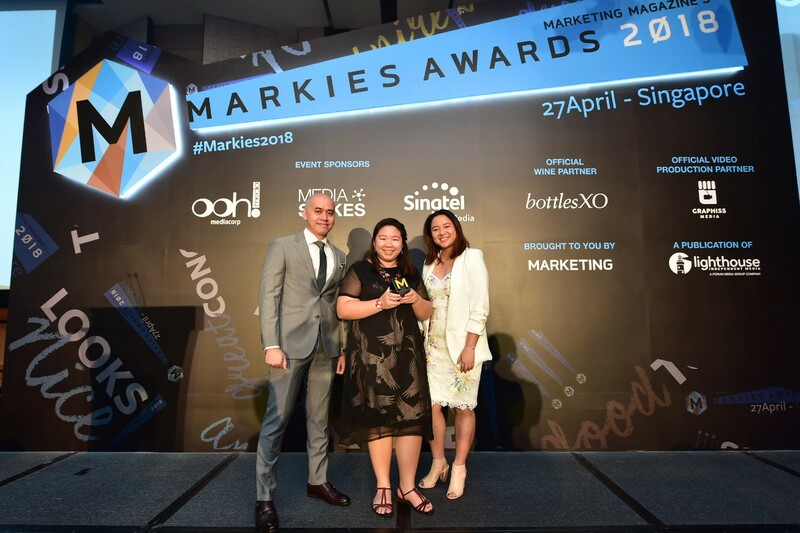 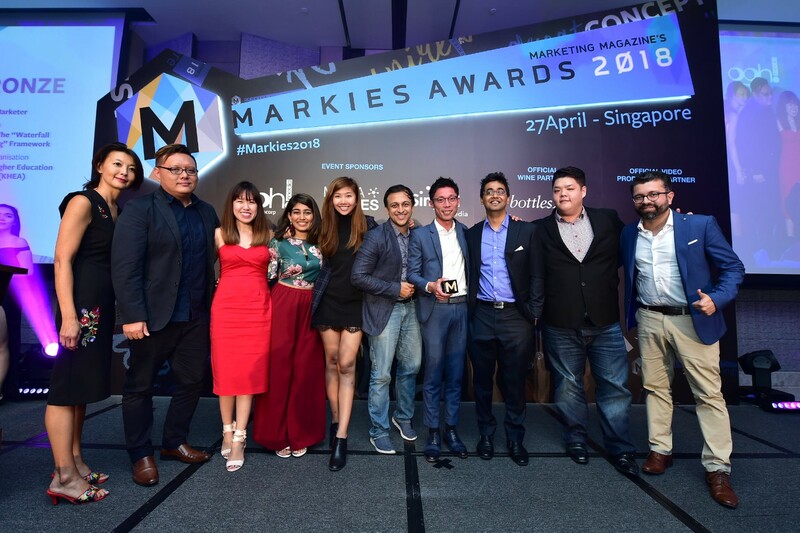 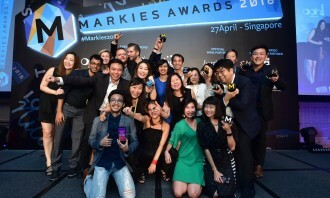 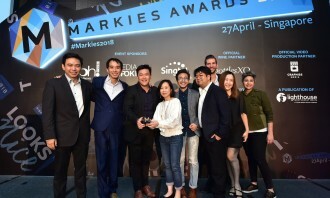 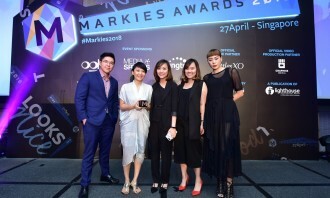 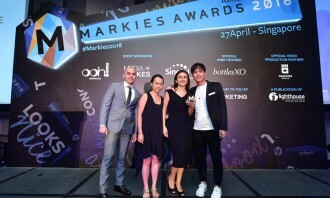 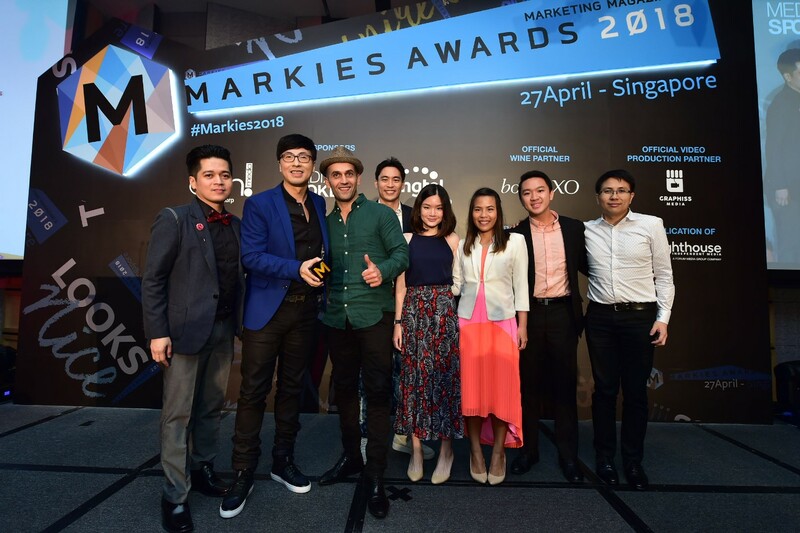 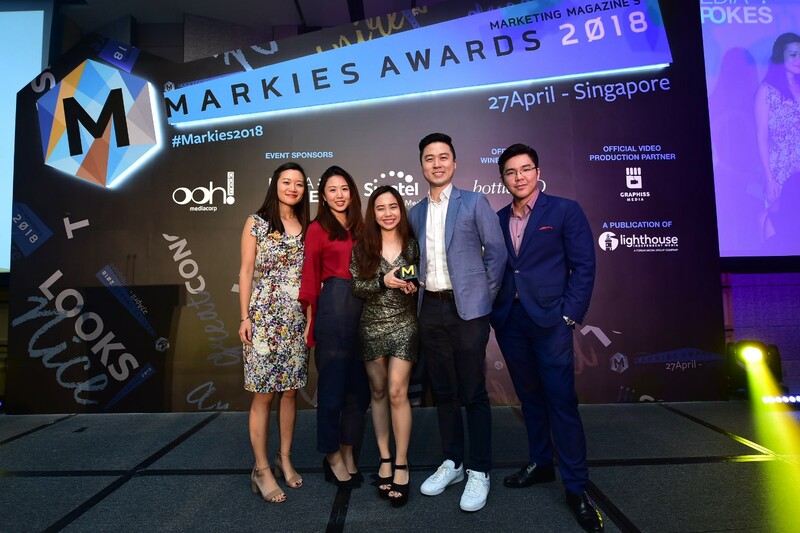 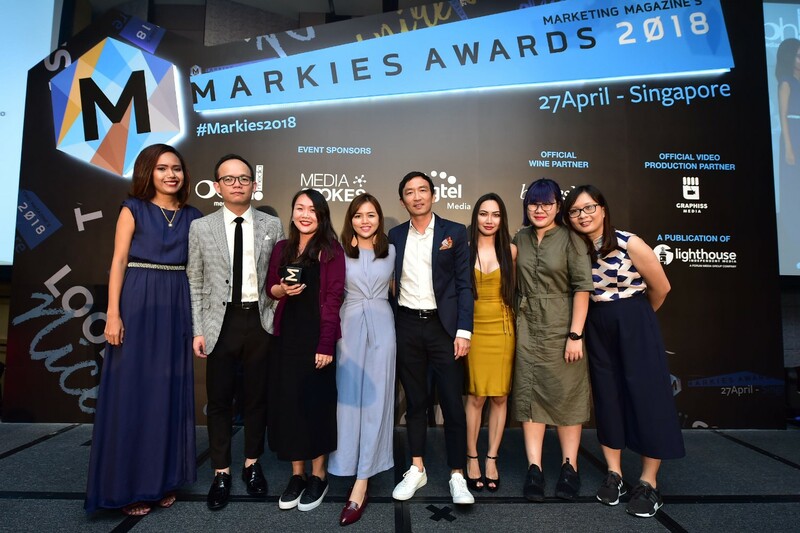 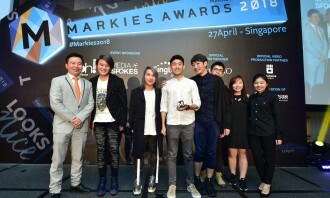 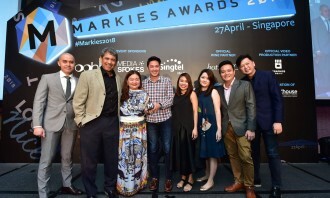 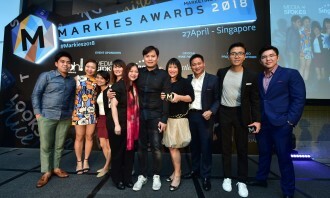 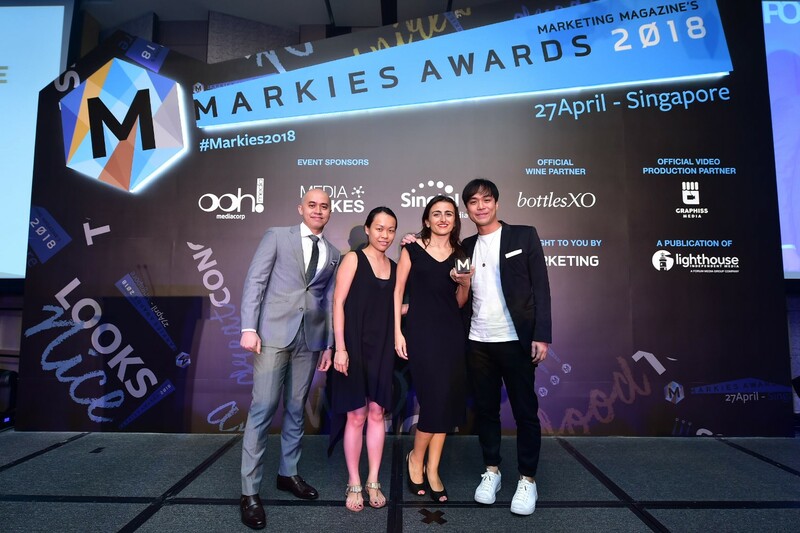 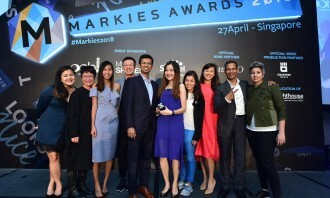 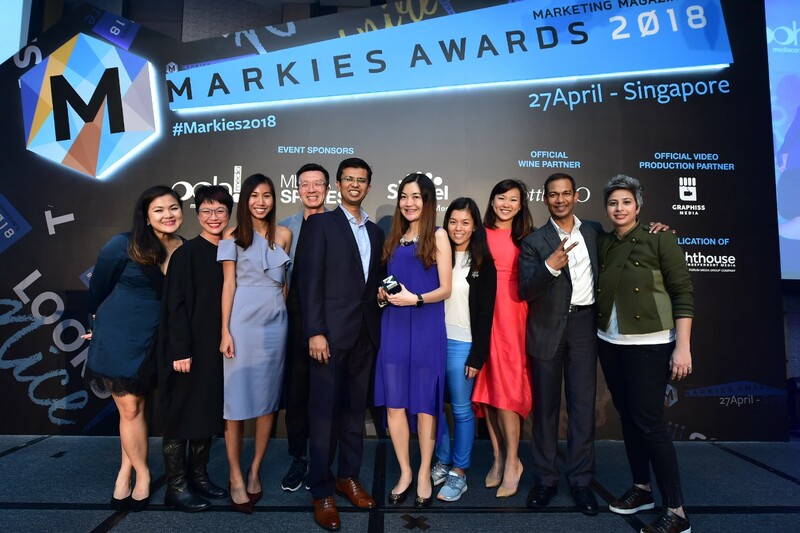 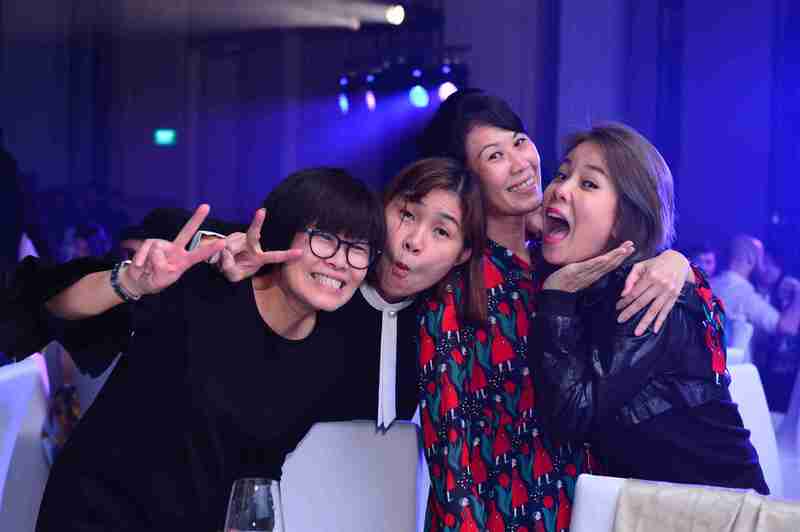 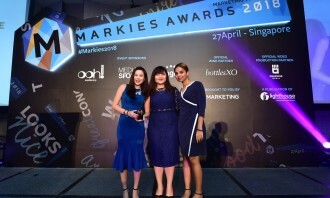 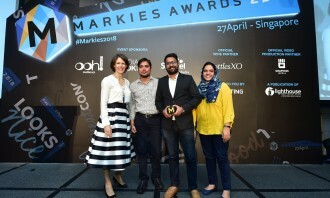 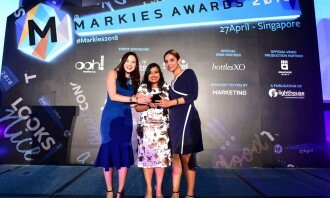 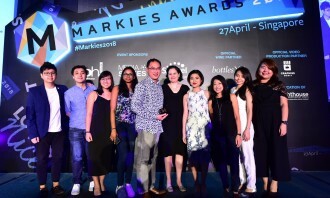 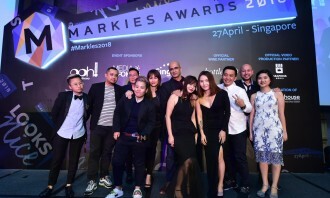 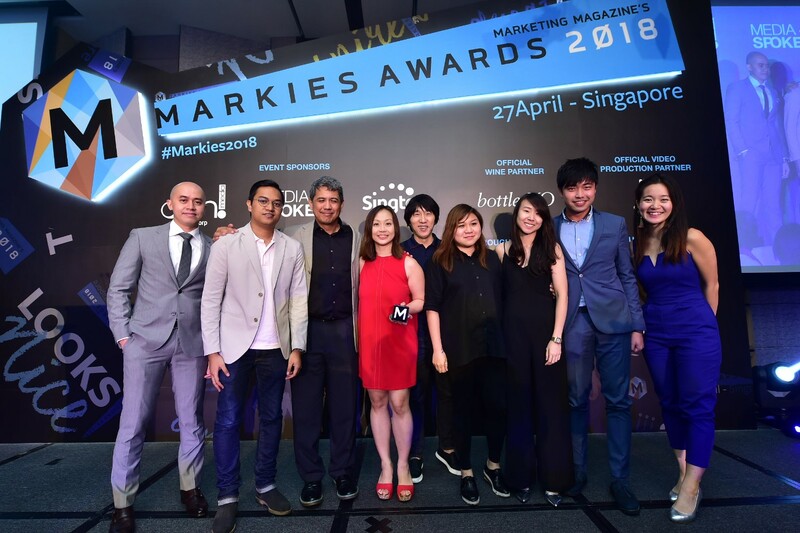 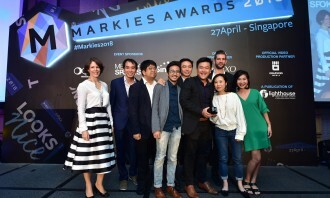 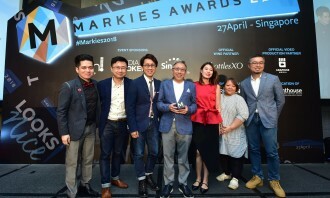 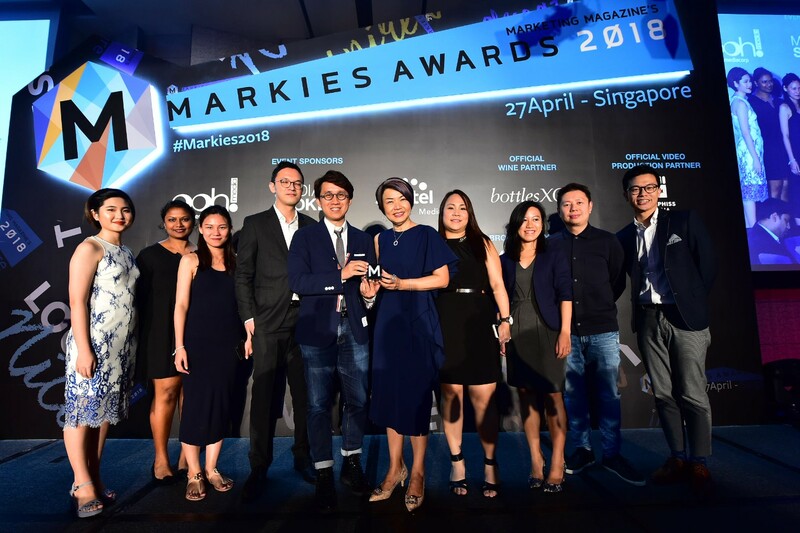 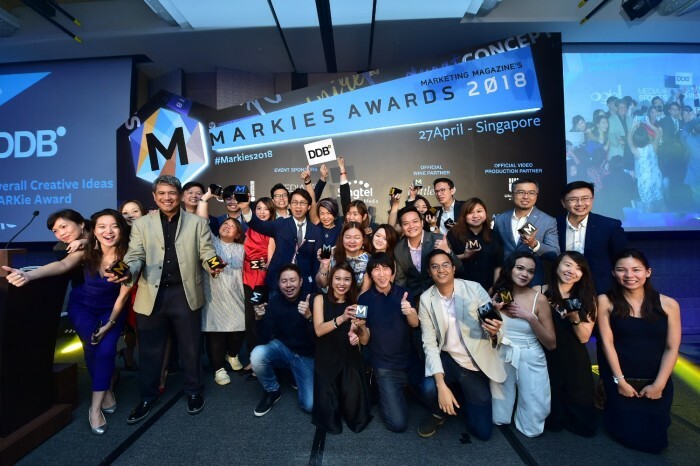 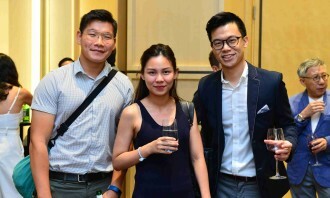 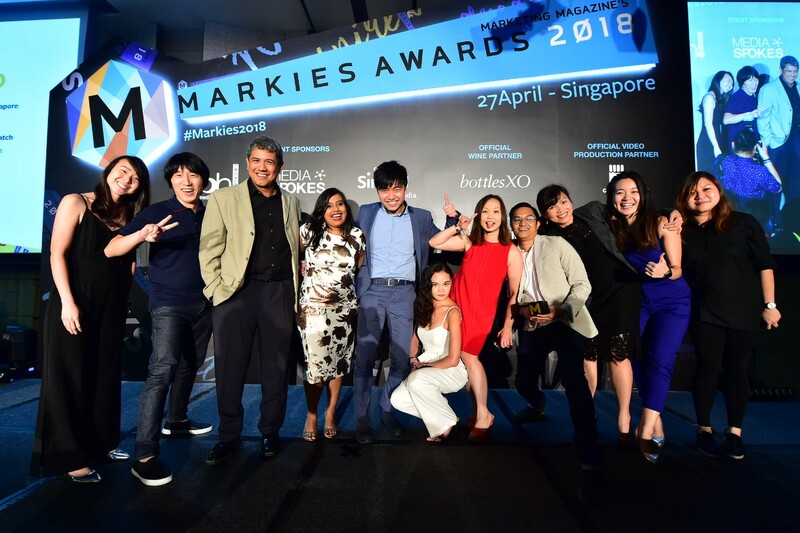 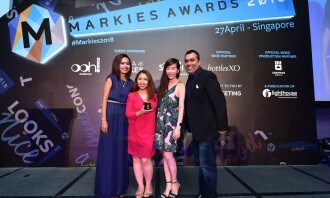 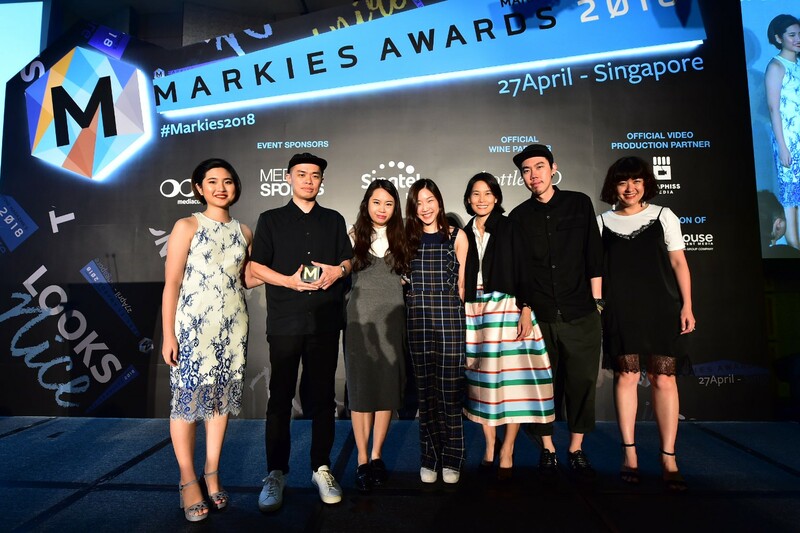 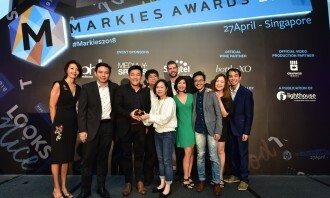 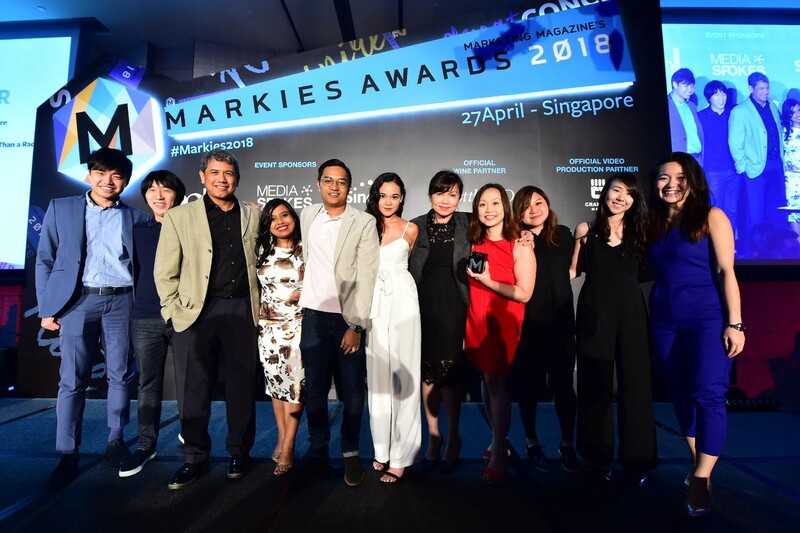 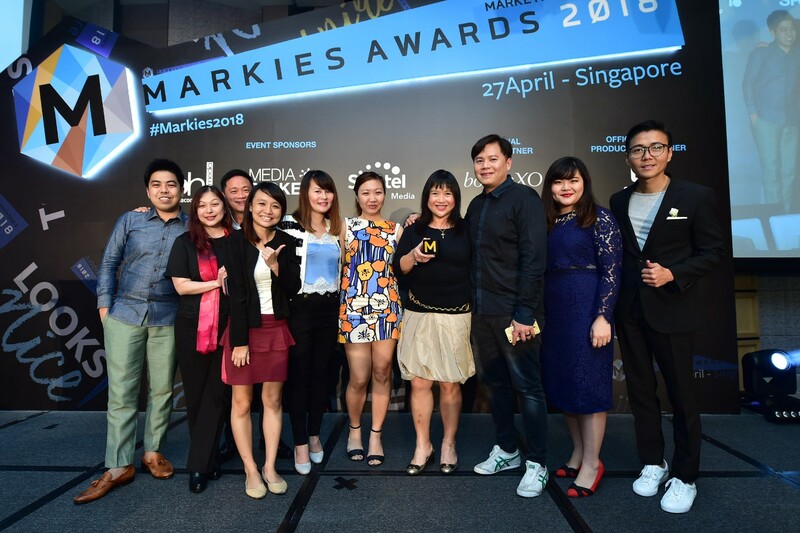 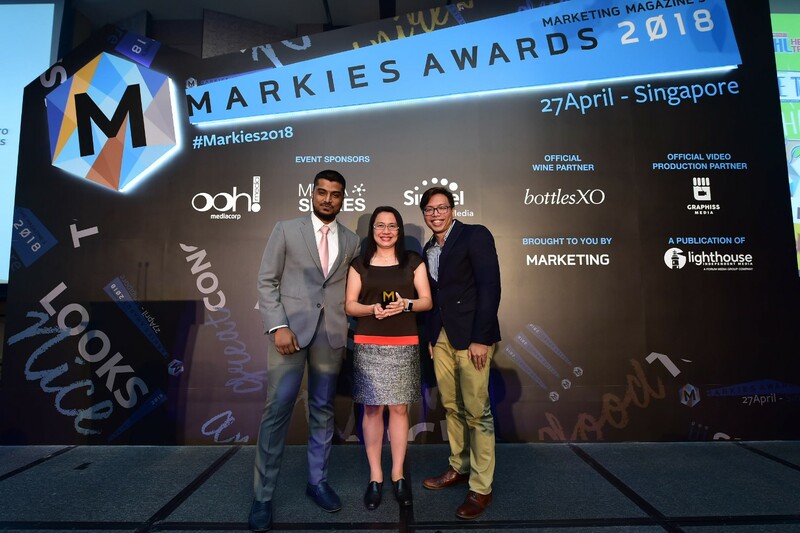 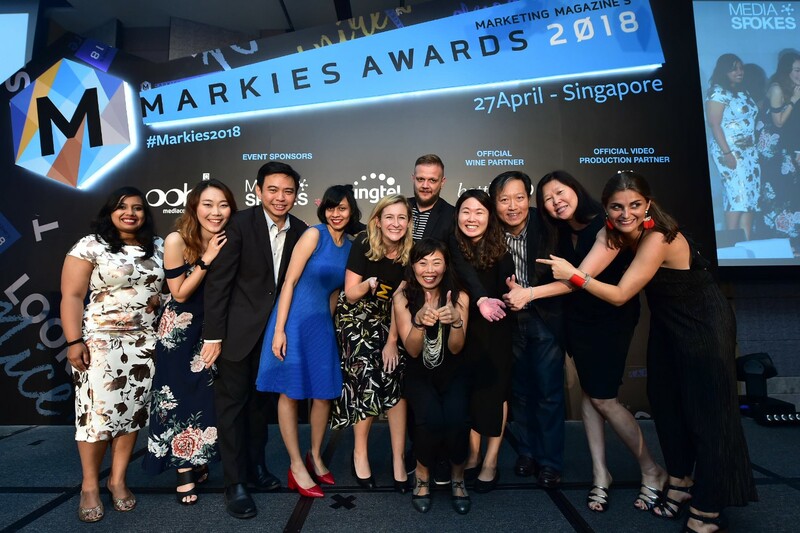 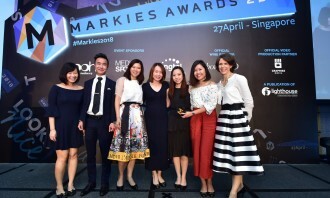 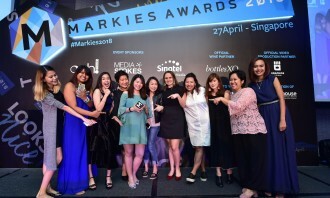 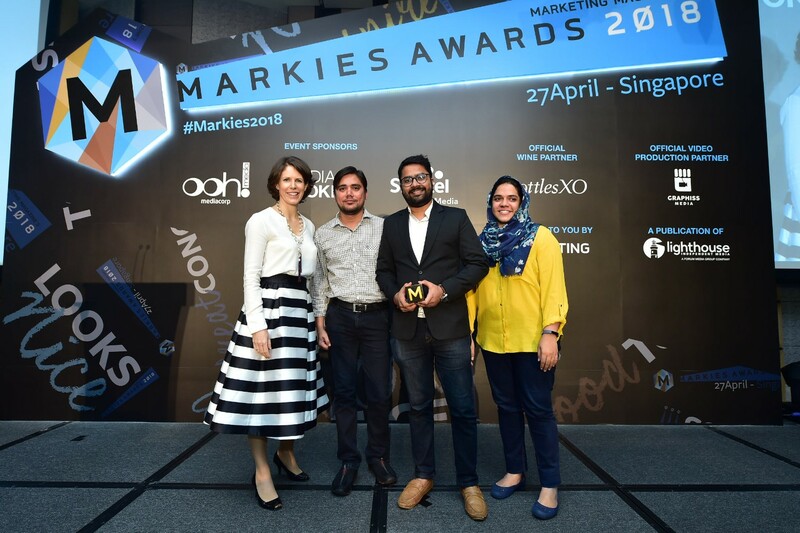 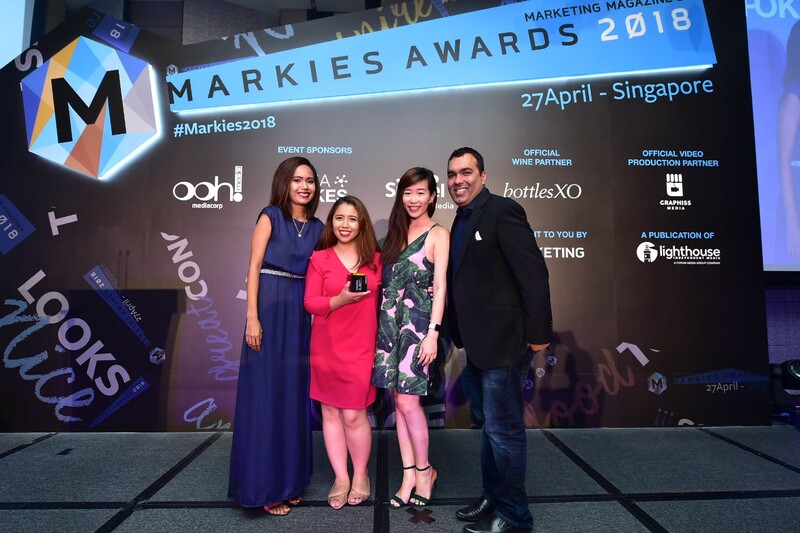 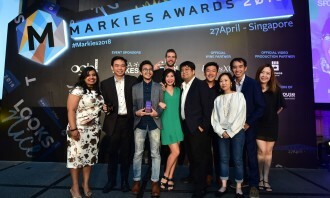 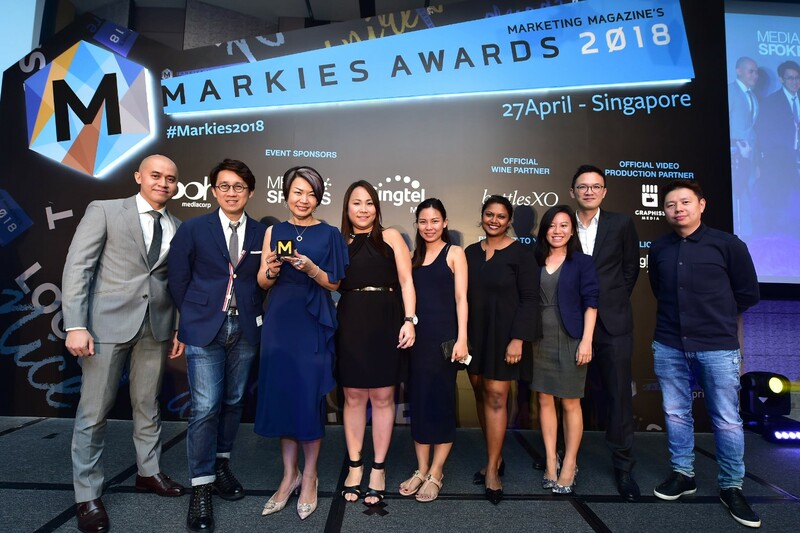 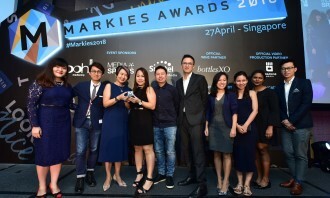 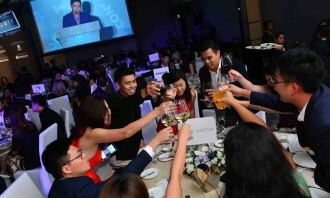 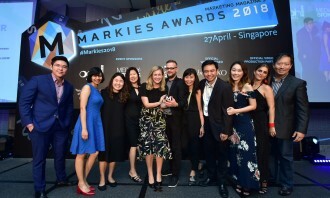 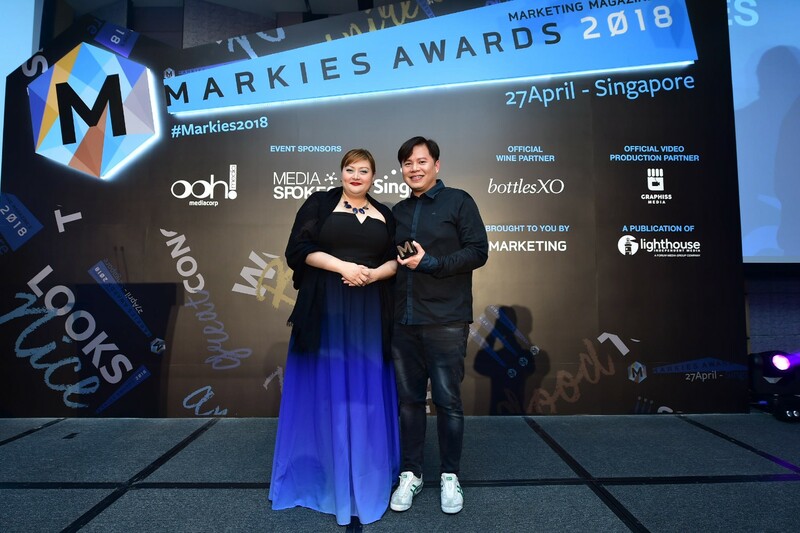 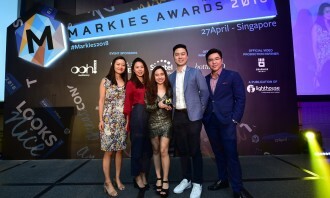 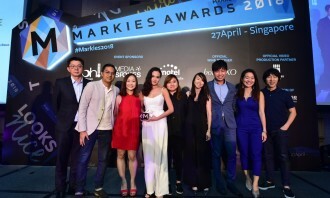 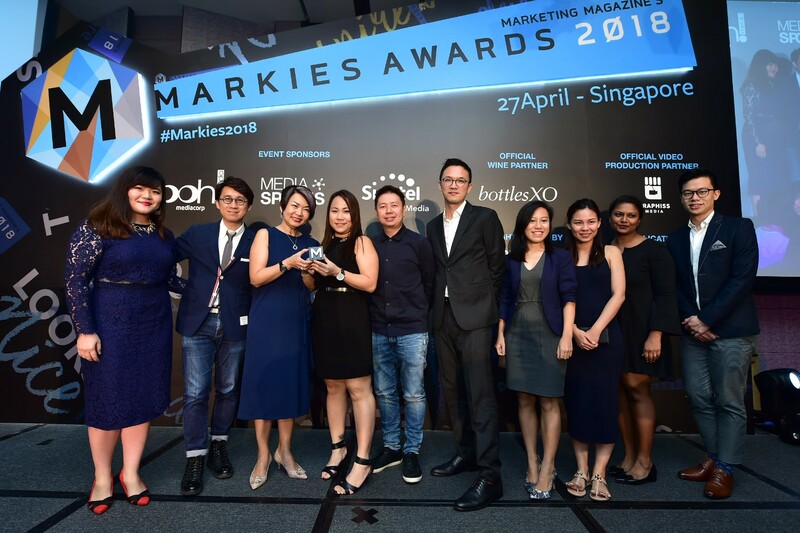 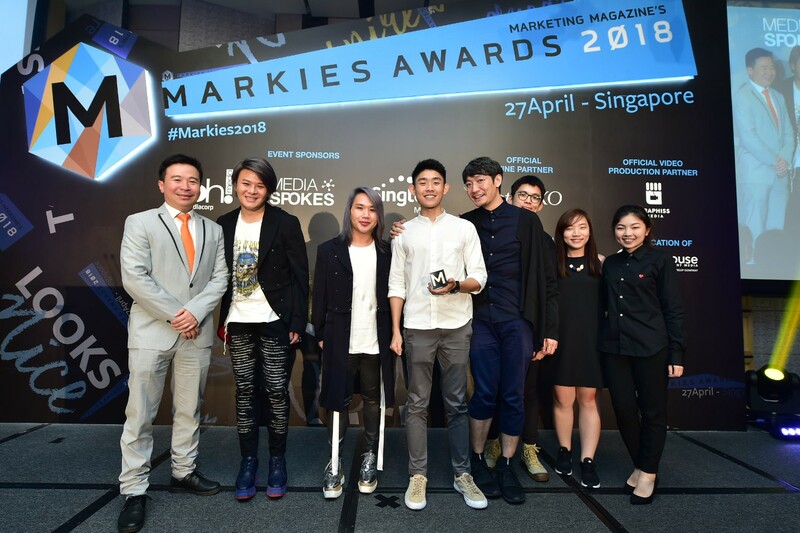 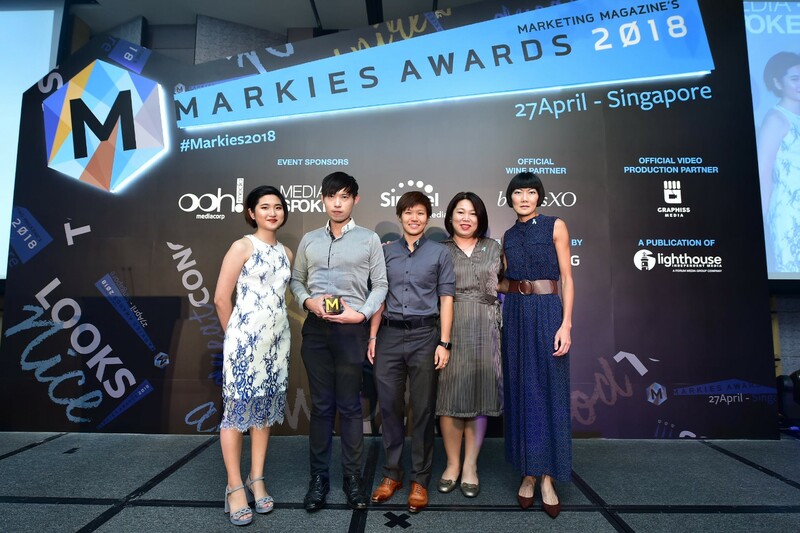 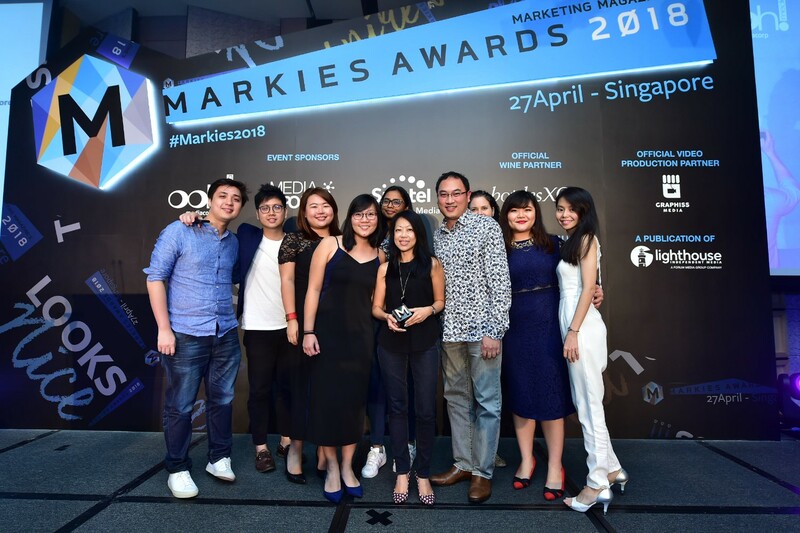 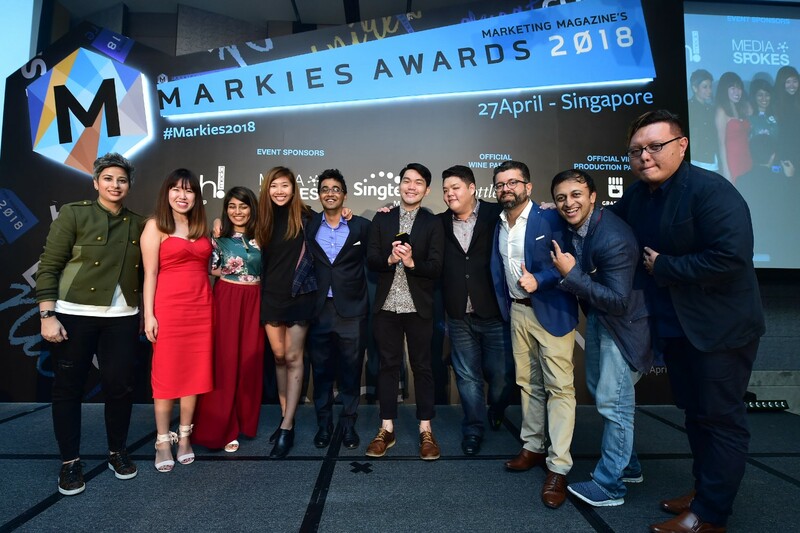 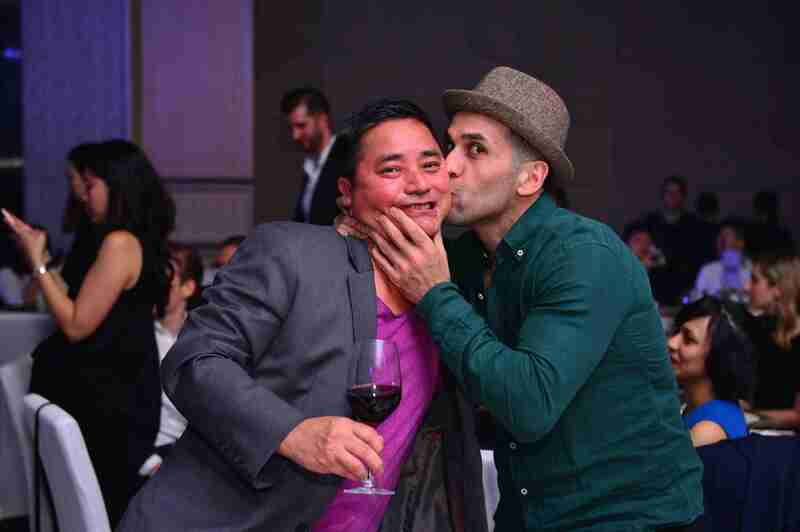 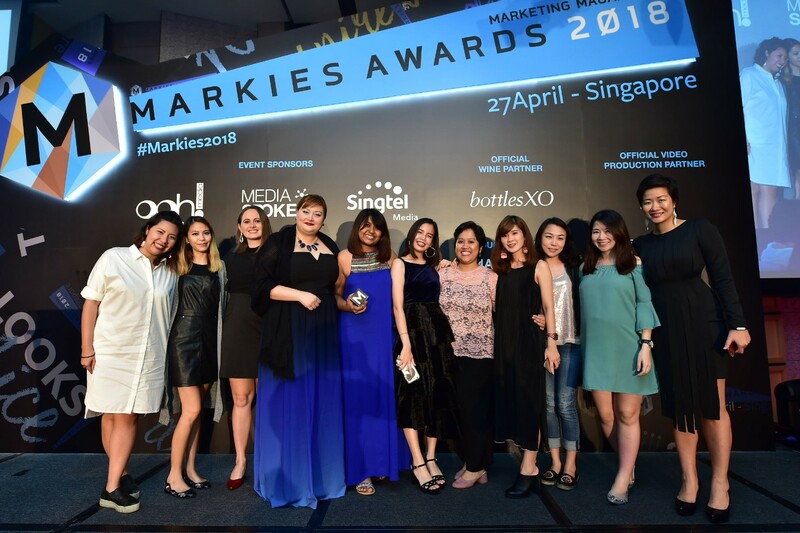 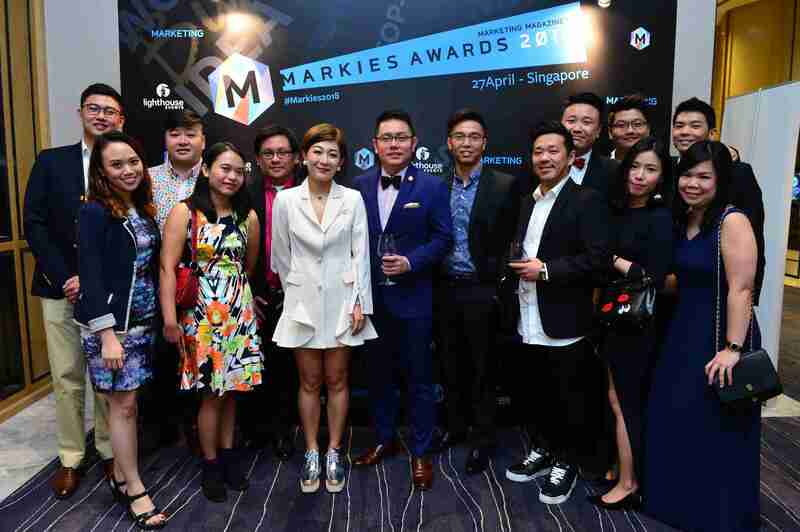 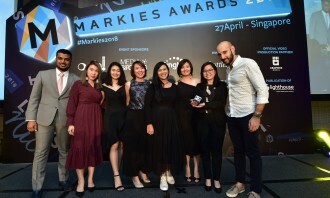 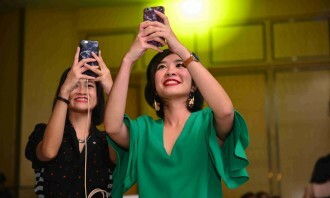 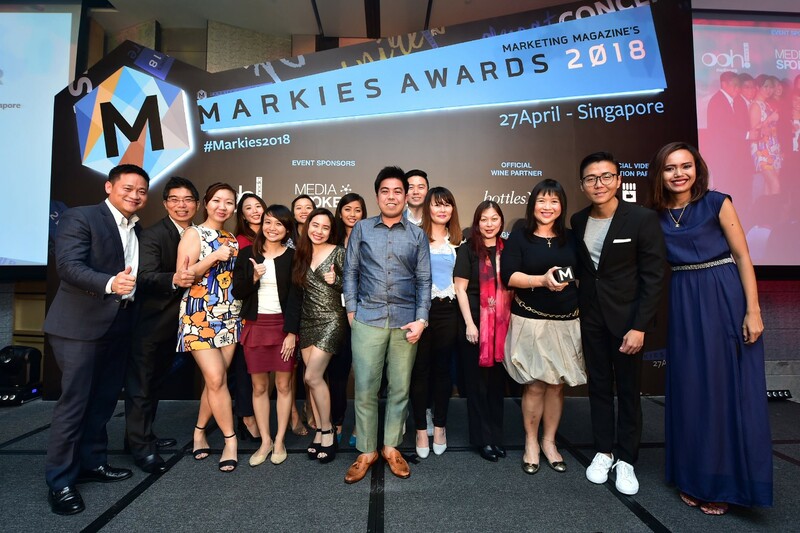 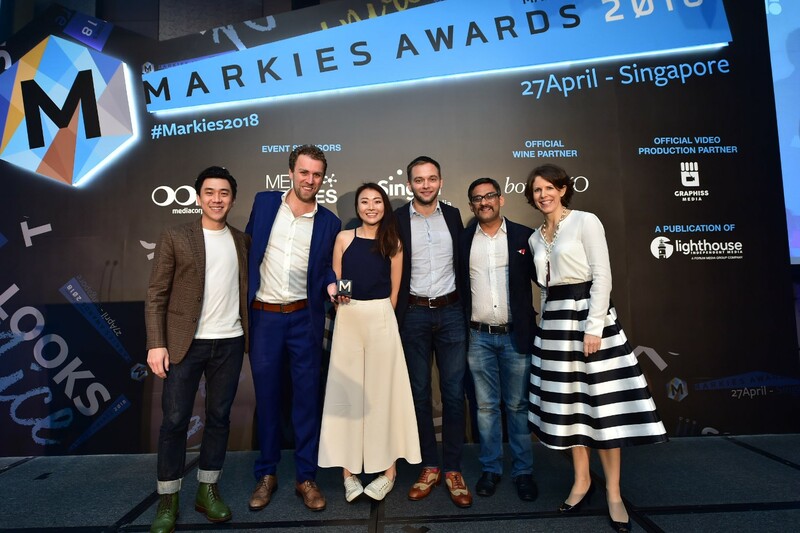 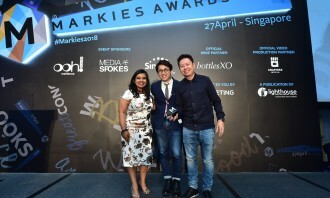 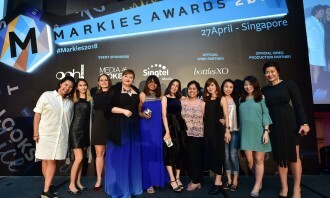 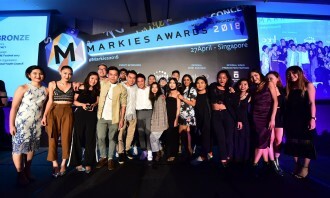 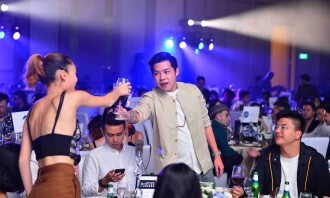 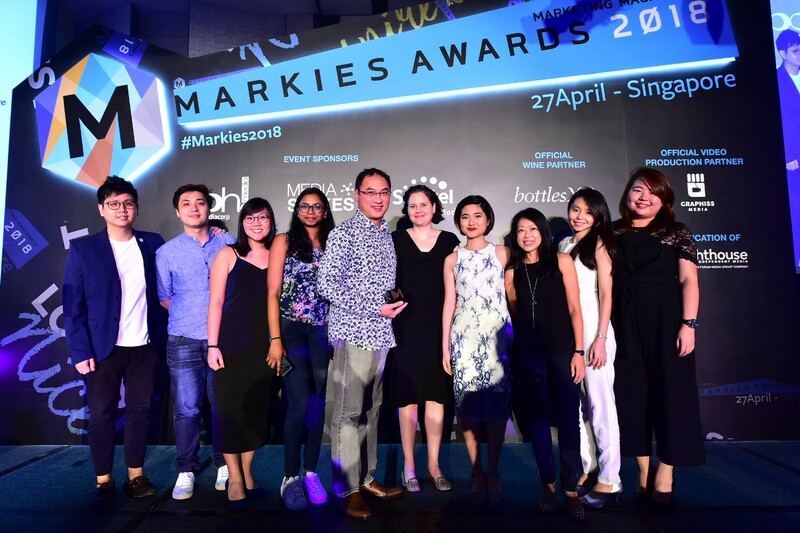 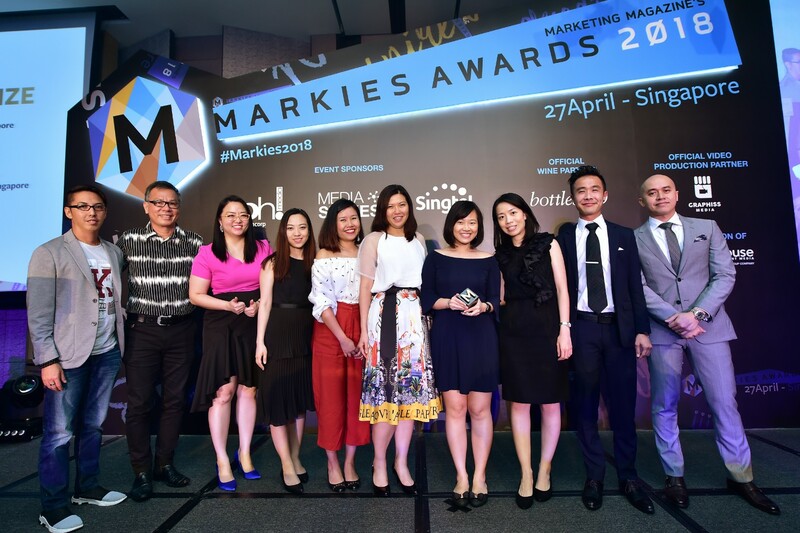 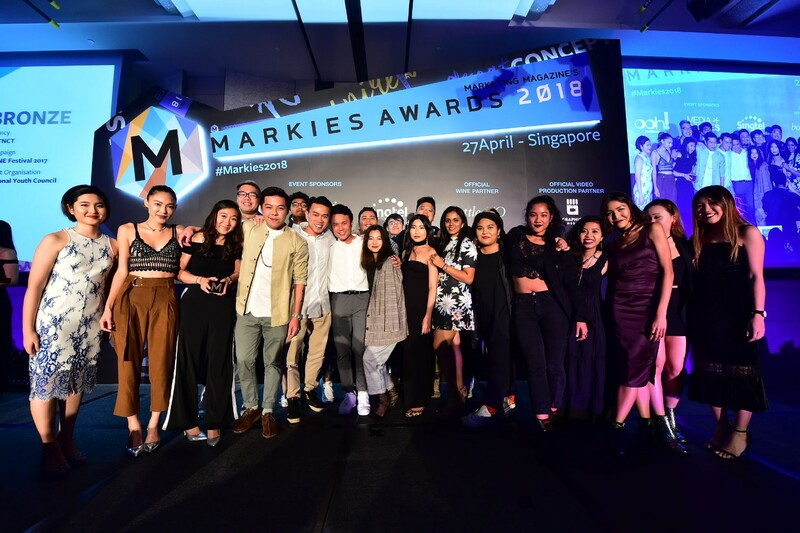 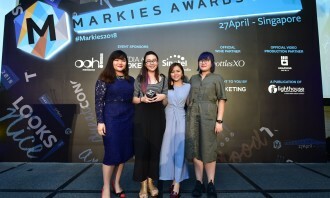 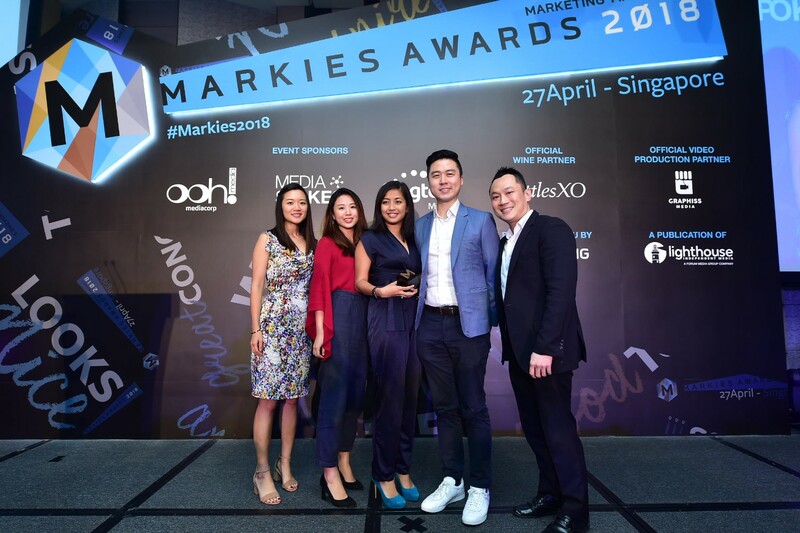 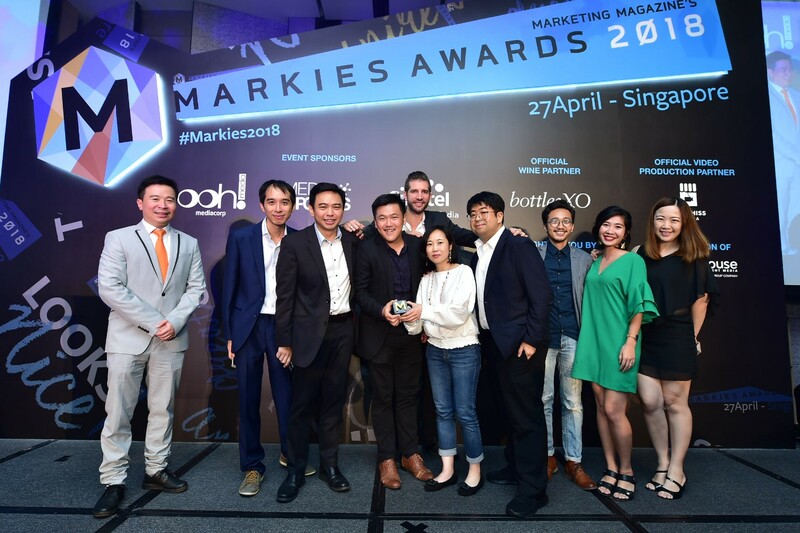 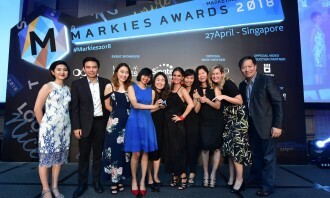 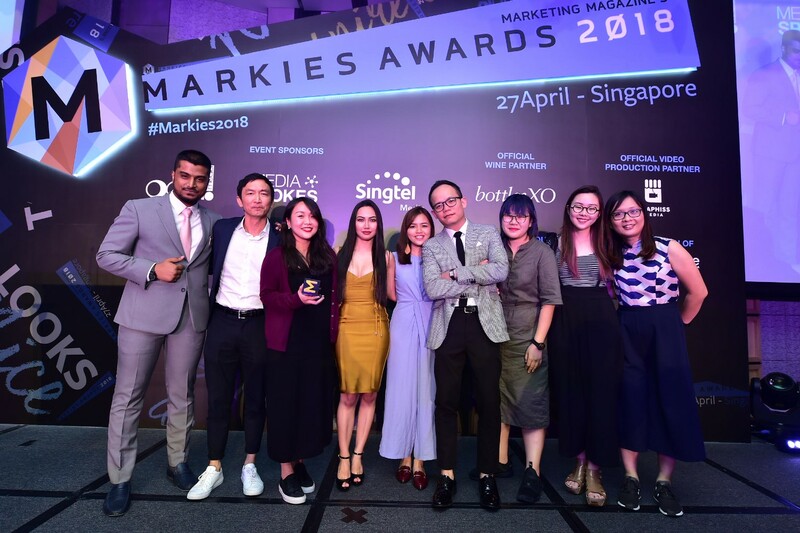 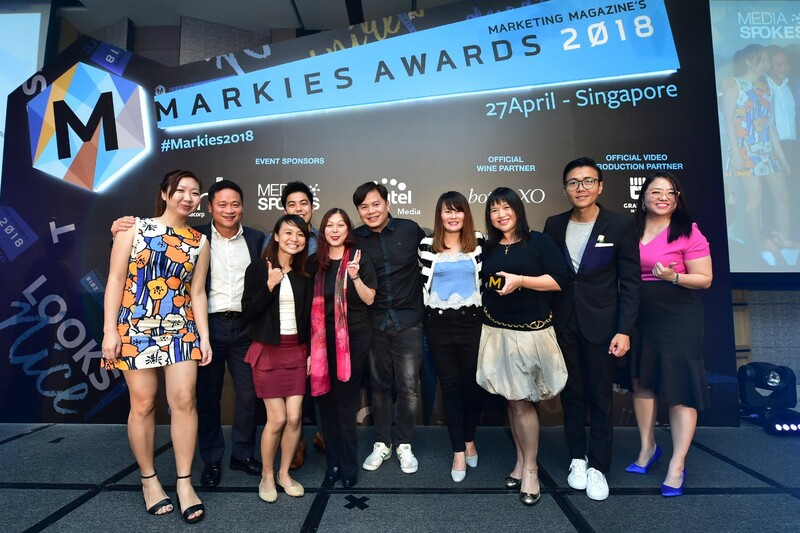 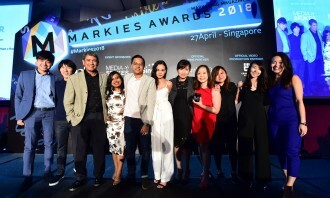 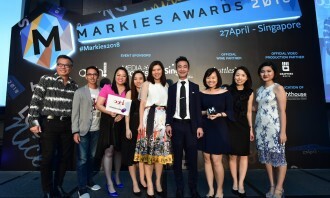 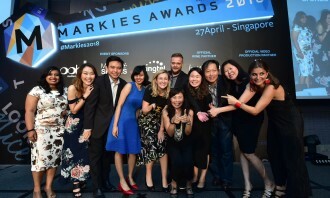 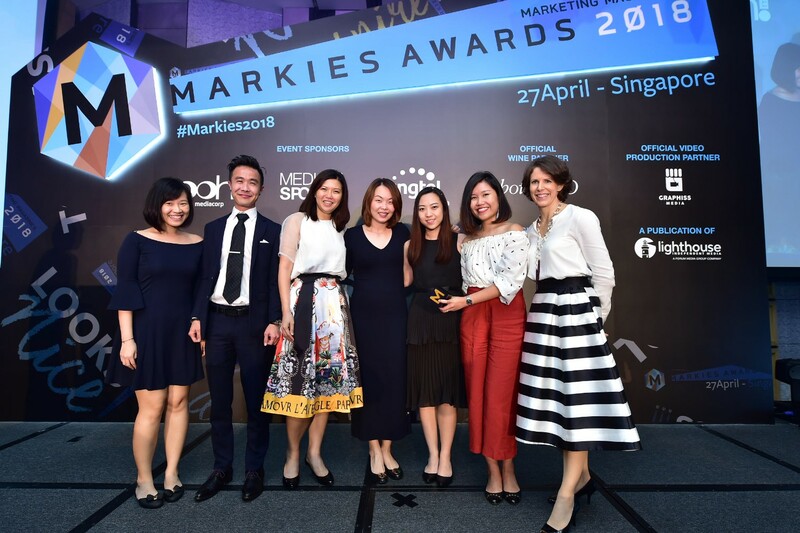 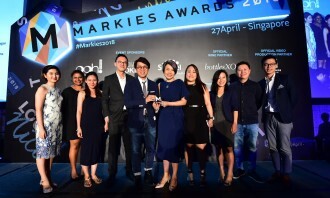 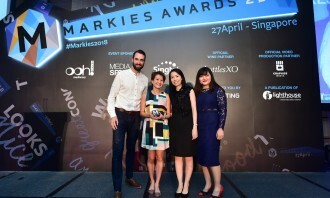 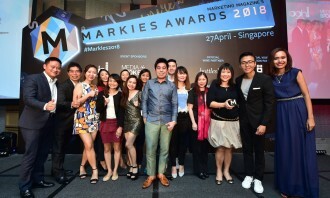 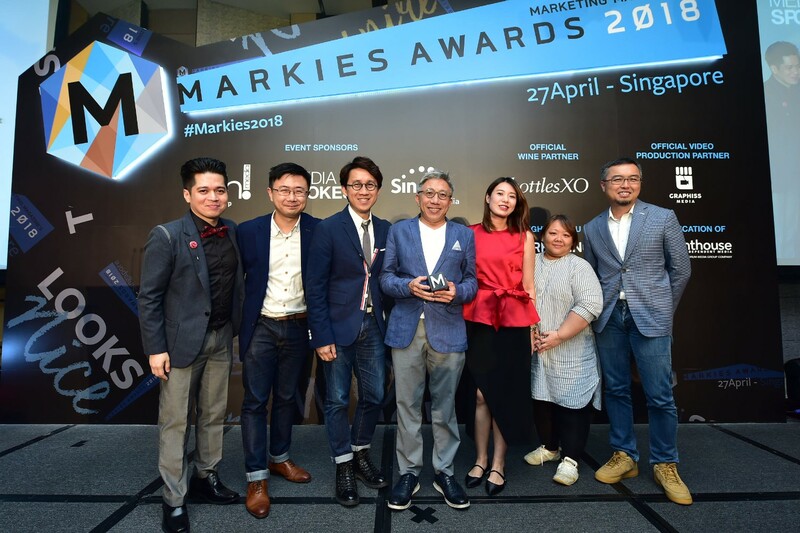 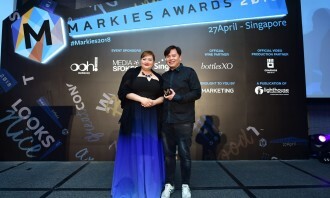 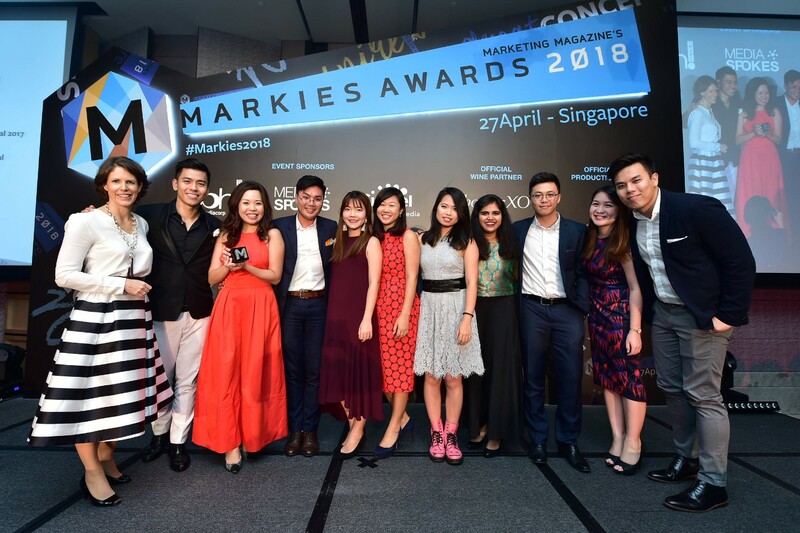 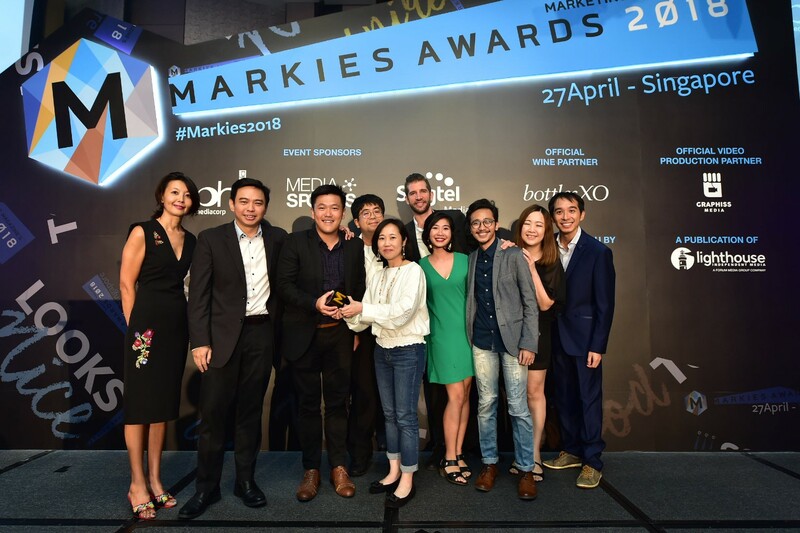 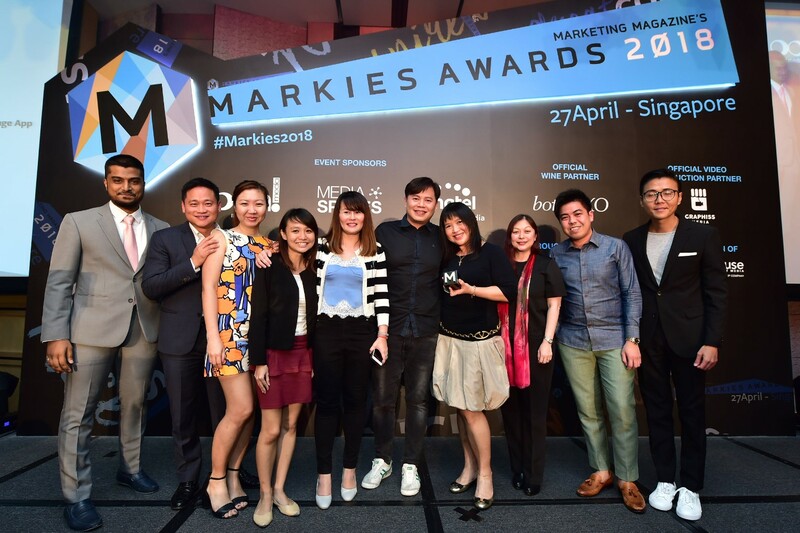 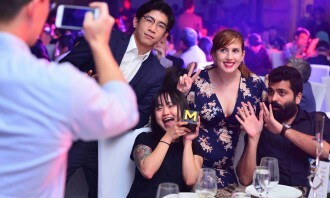 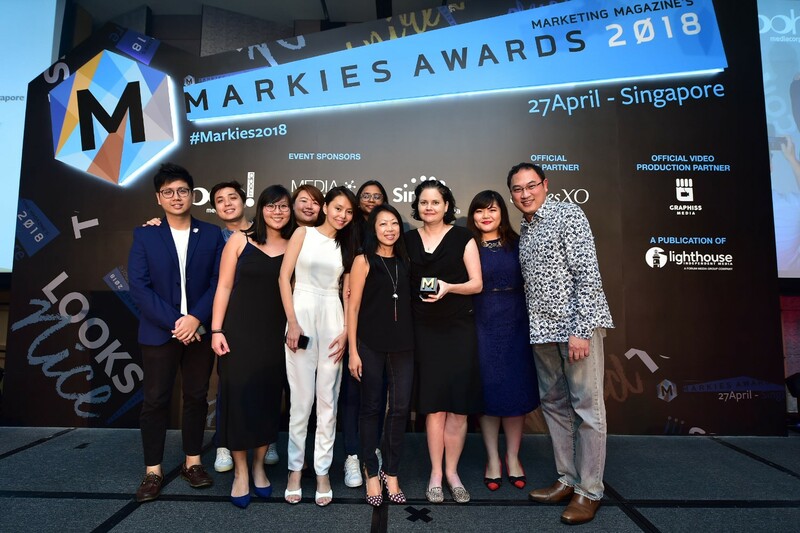 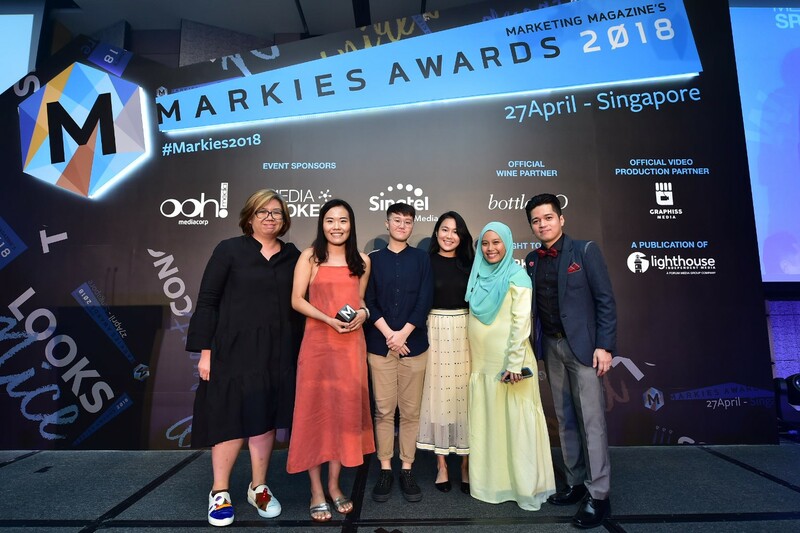 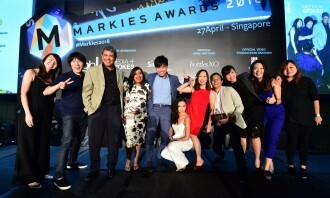 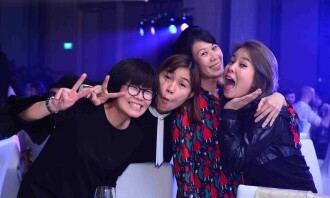 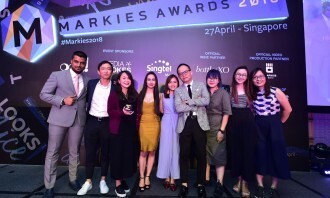 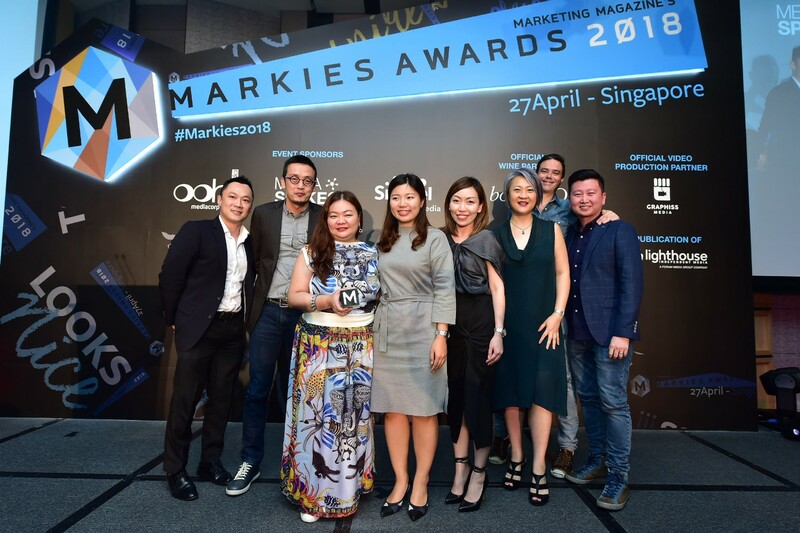 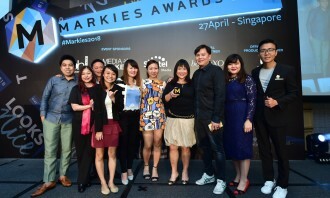 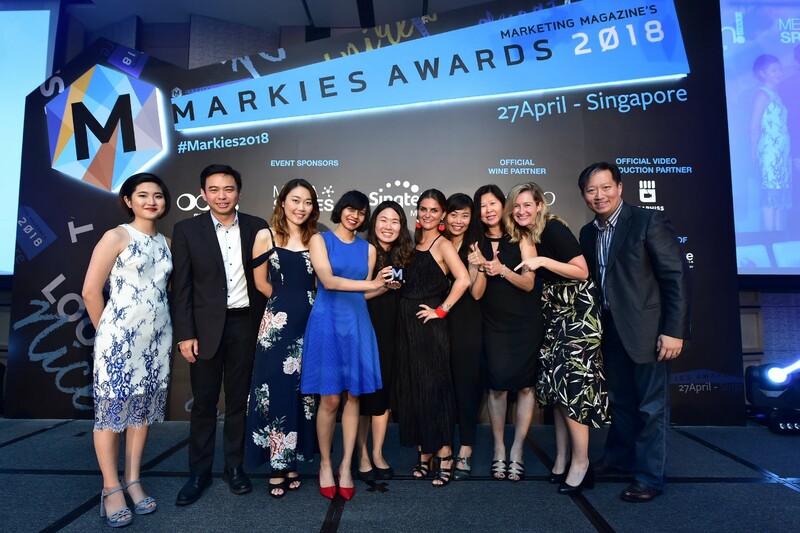 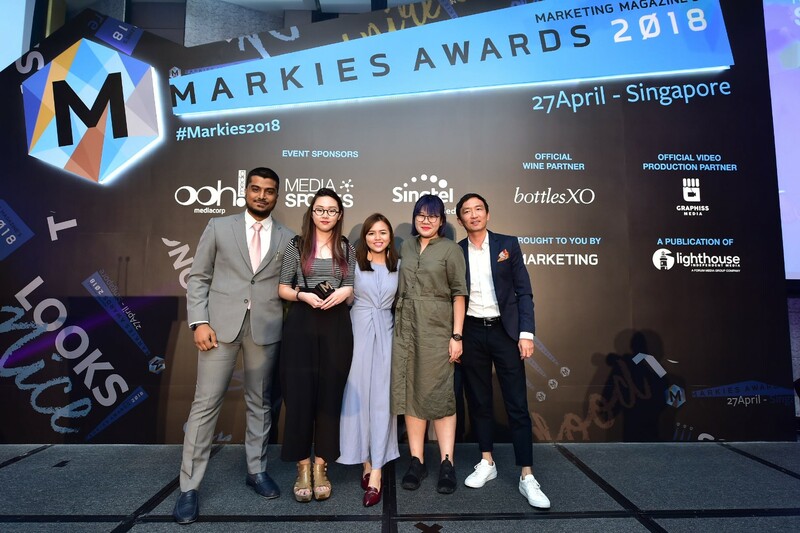 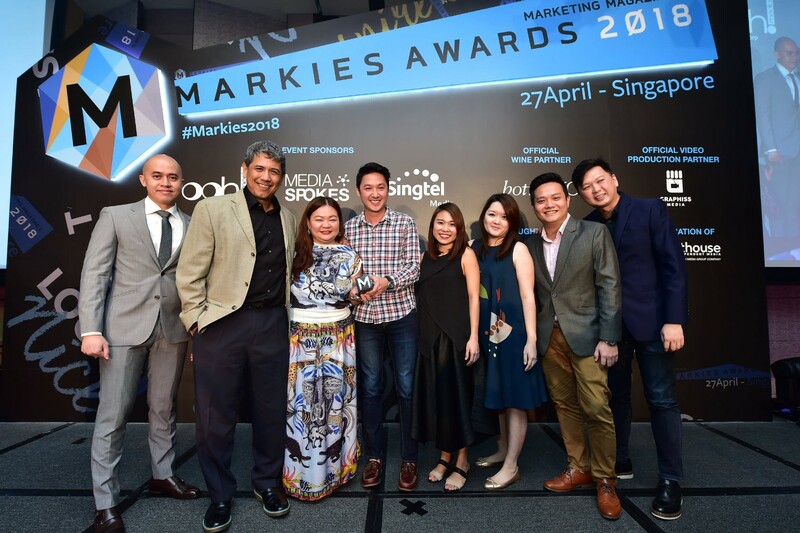 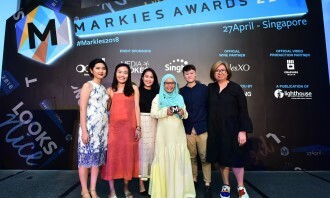 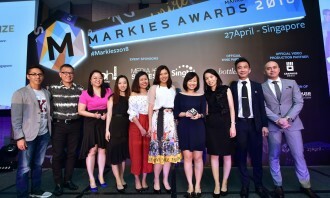 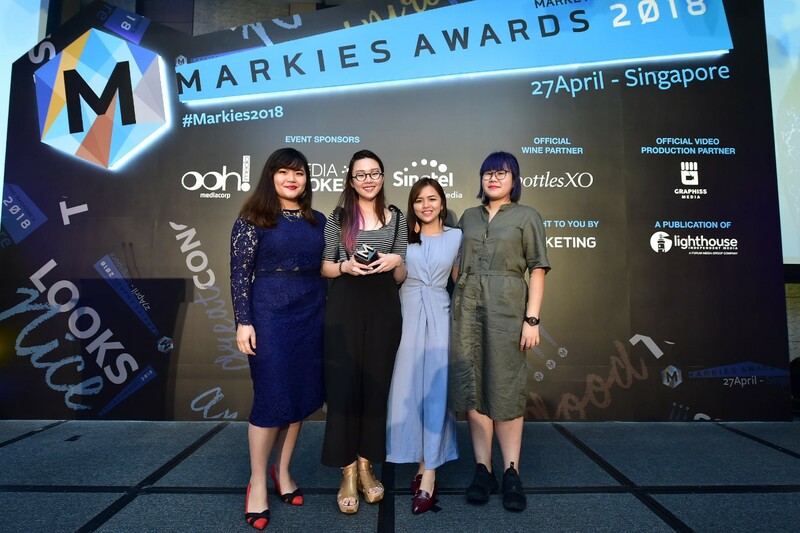 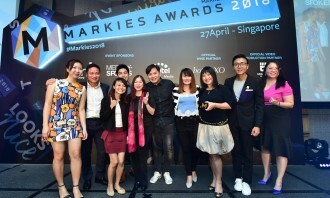 Witnessed by a 400-strong crowd at the Sofitel Singapore City Centre, DDB Group Singapore triumphed at Marketing magazine’s second annual MARKies Awards Singapore, taking home the title ‘Overall Creative Ideas MARKie Award’, while FALCON Agency took home the title ‘Overall Media Usage MARKie Award’. 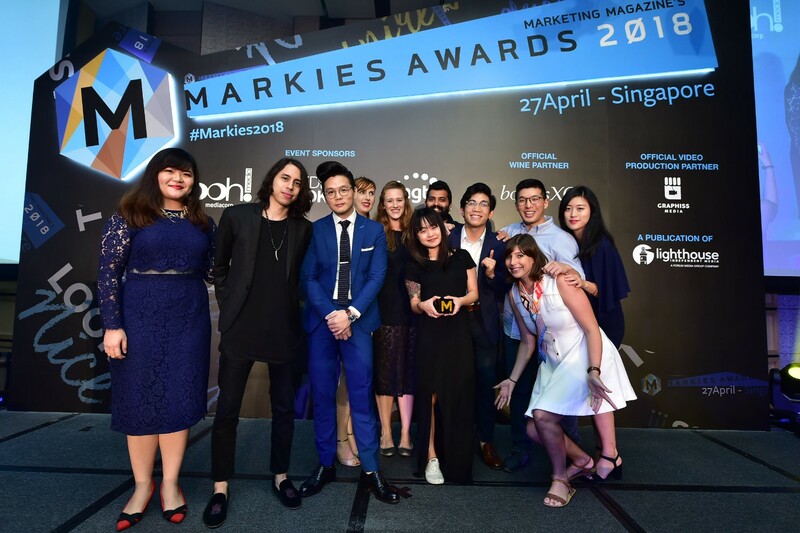 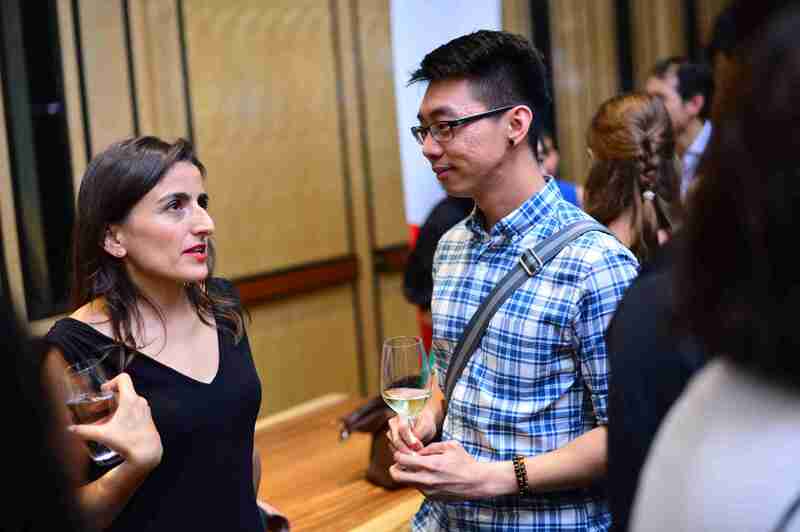 DDB Group Singapore snagged five Golds, eight Silvers and three Bronze awards. 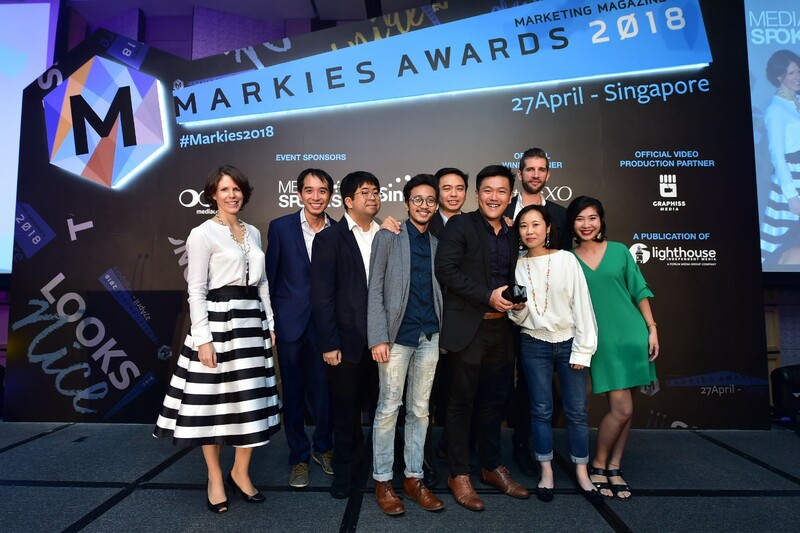 Award winning campaigns from DDB Group Singapore included the ‘Heineken F1 – More than a race’, ‘Kungfu Fighter, Hidden Sugar’, ‘ Jiak Ba Buay? 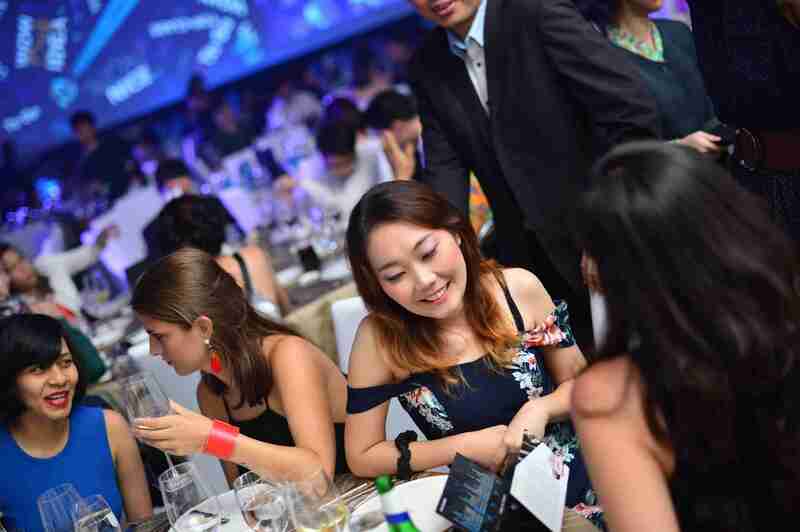 (Eat Already?) 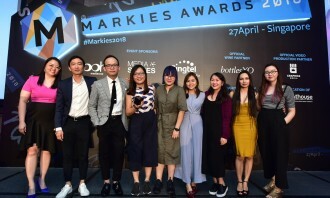 Season 2 and 3’, and ‘mySamsung | Customer Service | Tips | Special Picks’. 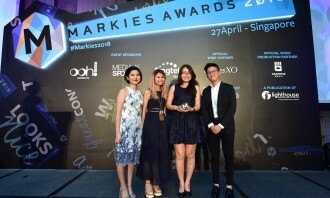 FALCON Agency came in runner-up, taking home three Golds in ‘Best Use of Integrated Media, ‘Best Use of Programmatic’ and ‘Best Use of Search’; three silvers in ‘Best Idea – Digital’, ‘Best Use of Analytics’ and ‘Best Use of TV / Video’ and two bronze in ‘Best Use of Digital’ and ‘Best Use of Integrated Media’ for campaigns that include ‘Meet the Sydneyporeans’, ‘Look, It’s Klook!’ and ‘Meet the Sydneyporeans’. 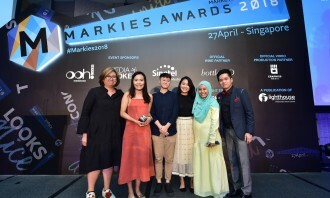 Other winners at this year’s awards include GOVT Singapore, Ogilvy & Mather Singapore, Germs, Addiction Advertising and many others. 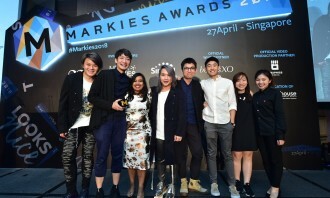 Judges did not have an easy time as there was fierce competition when assessing the best campaigns in Singapore according to an exponential-weighted point system, meaning four points are allocated for Gold, two points for Silver and one point for Bronze. 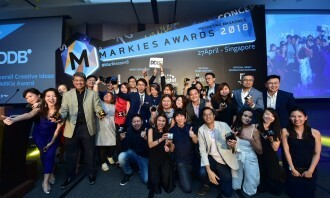 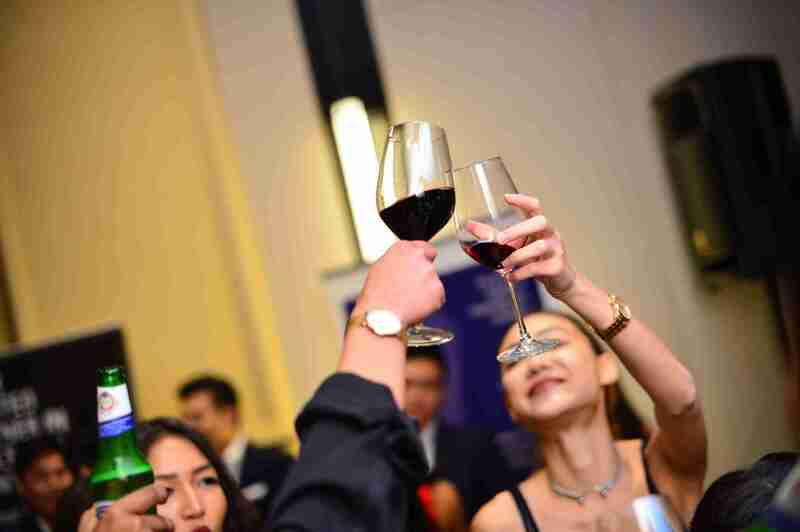 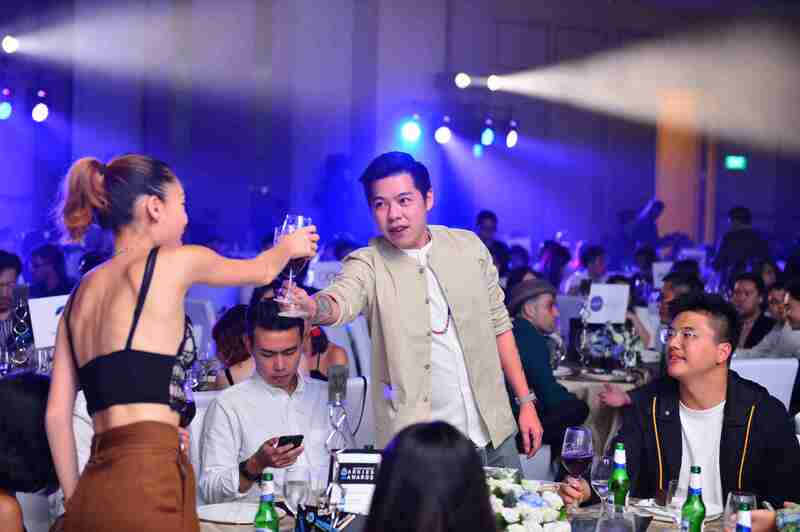 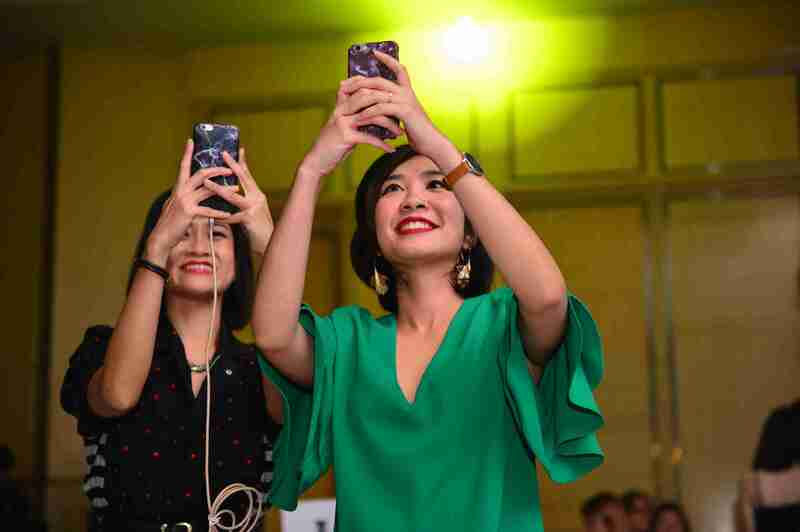 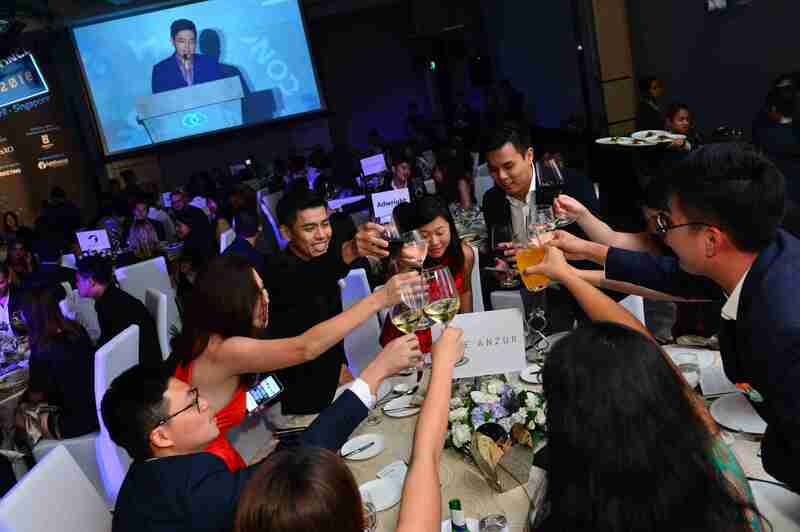 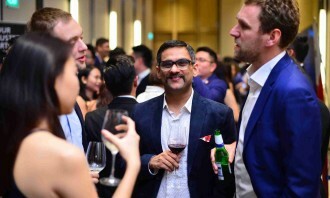 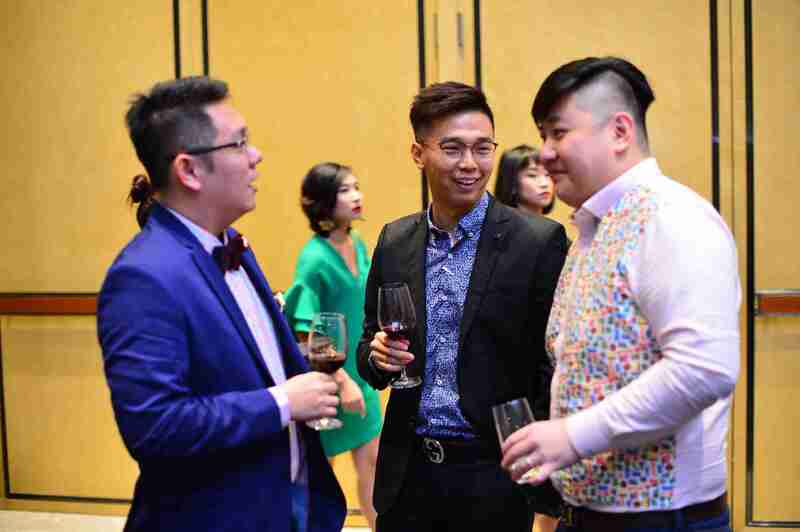 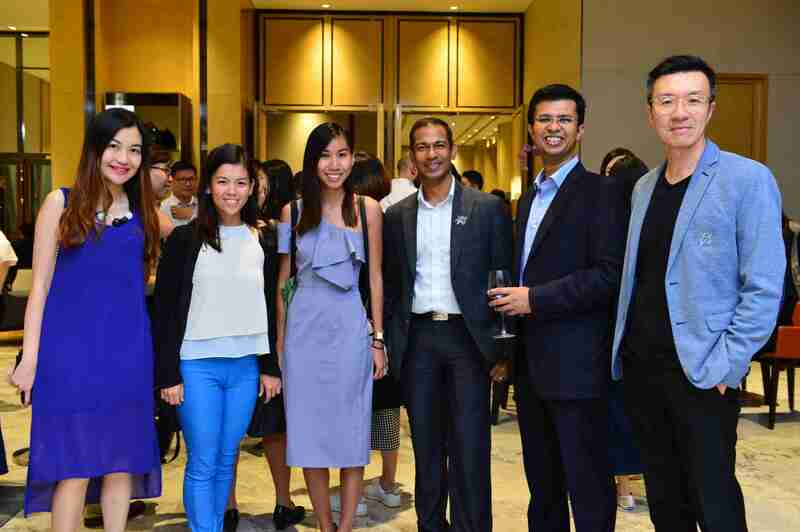 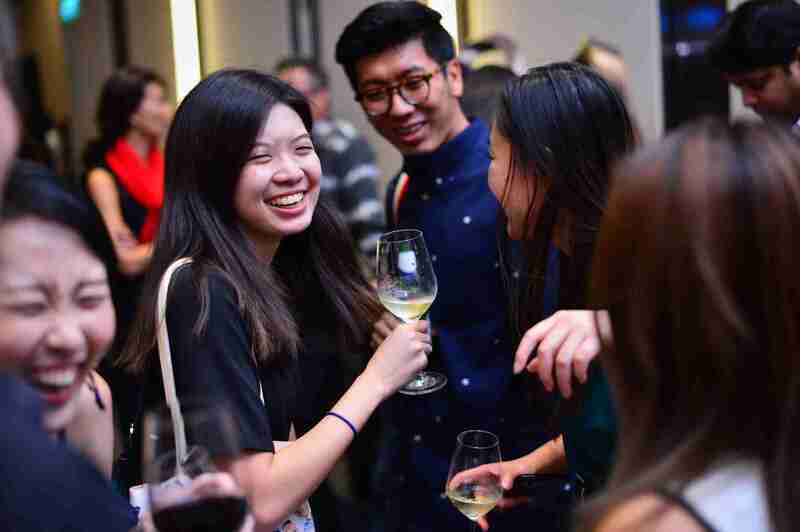 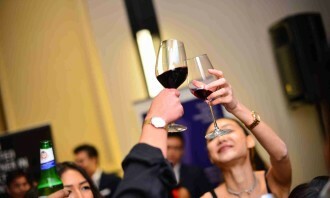 A total of 101 trophies were awarded at the ceremony as decided by a panel of senior marketers from brands including Asia Pacific Breweries, AXA Insurance, foodpanda, NTUC Link, Select Group, Unilever, Volkswagen Group Singapore and many more. 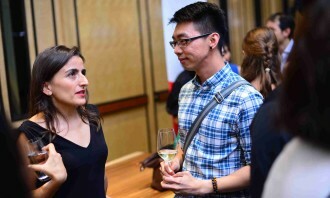 See the full panel here.